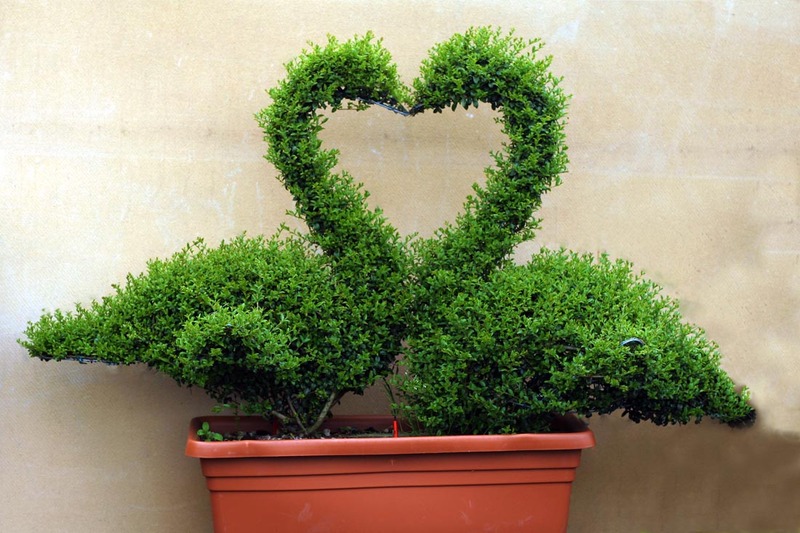 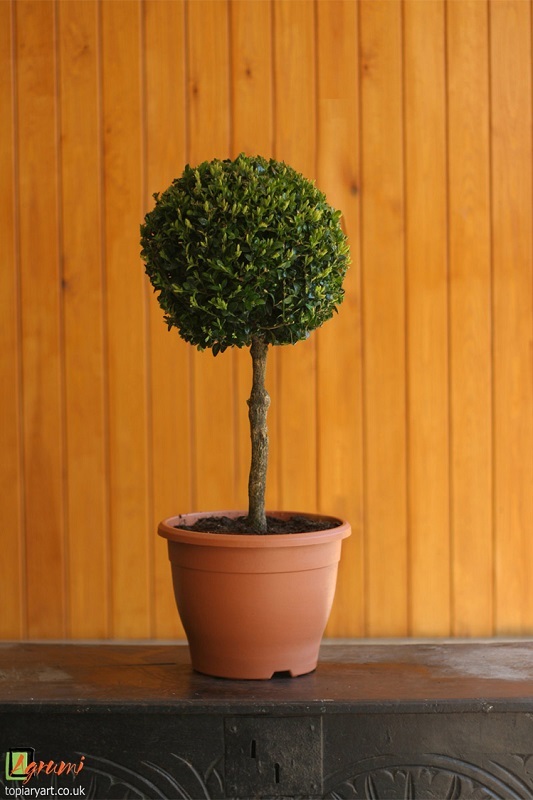 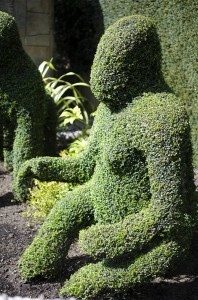 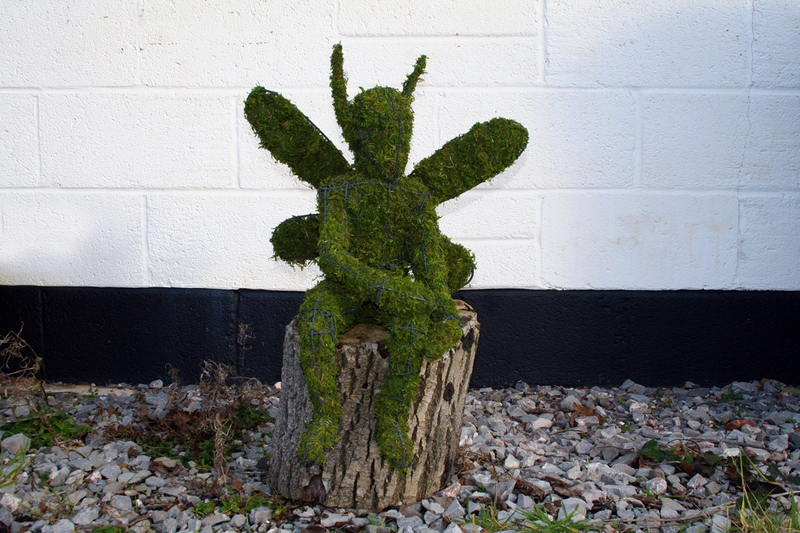 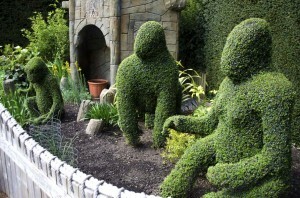 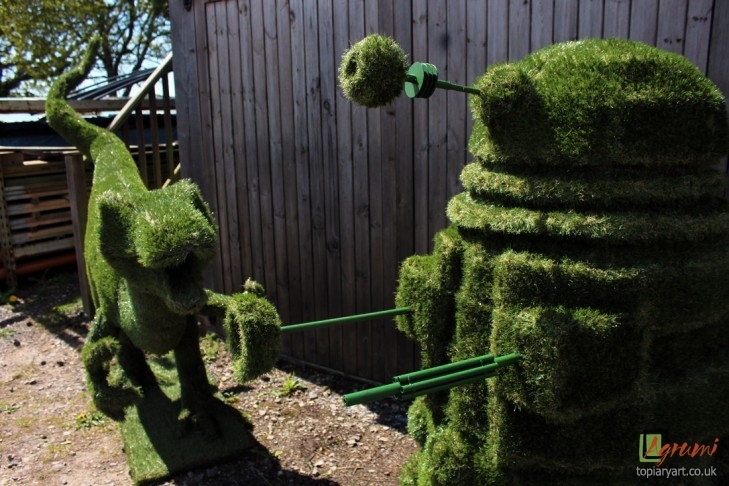 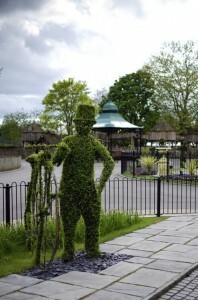 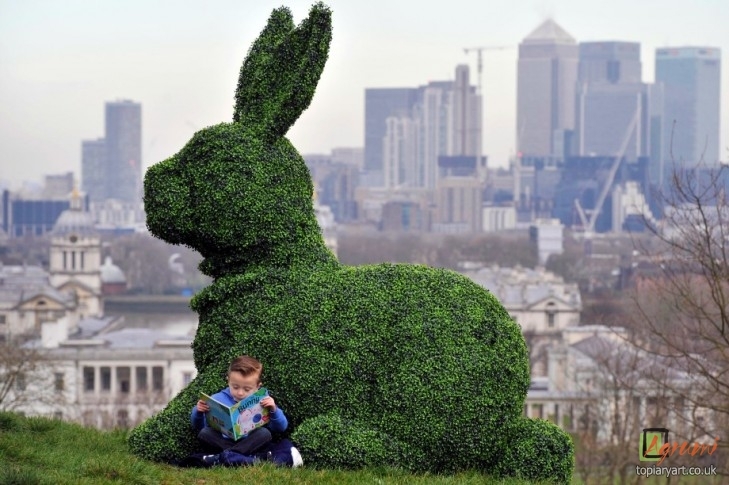 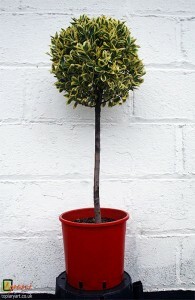 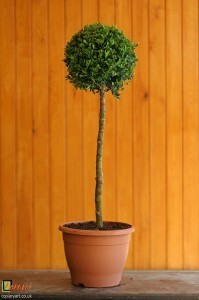 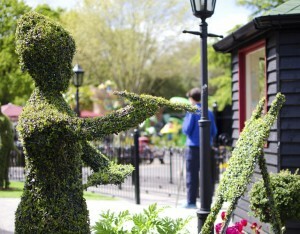 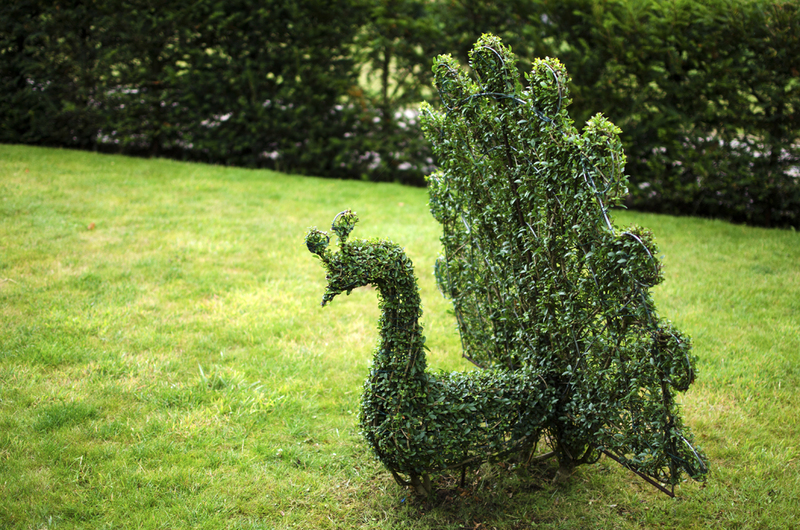 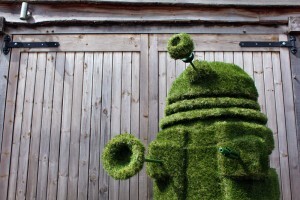 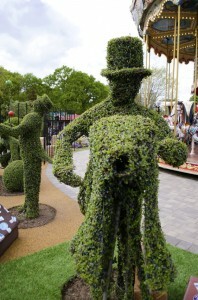 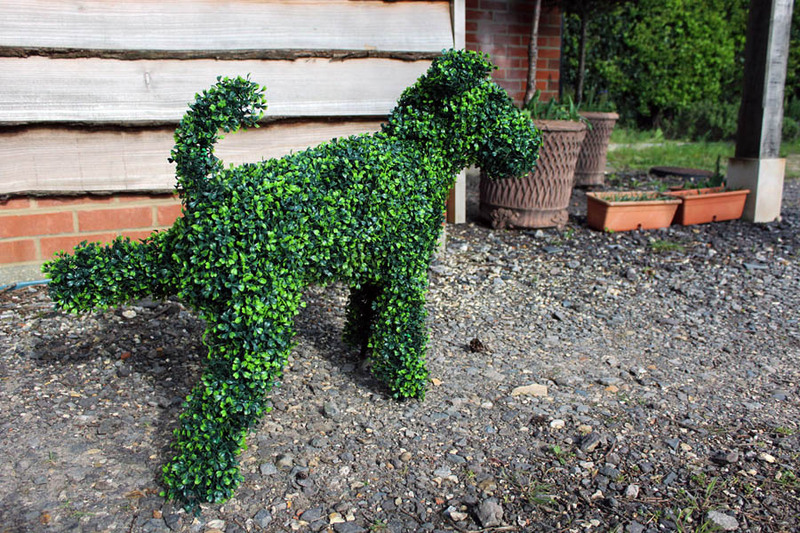 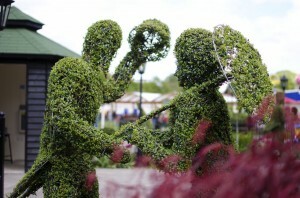 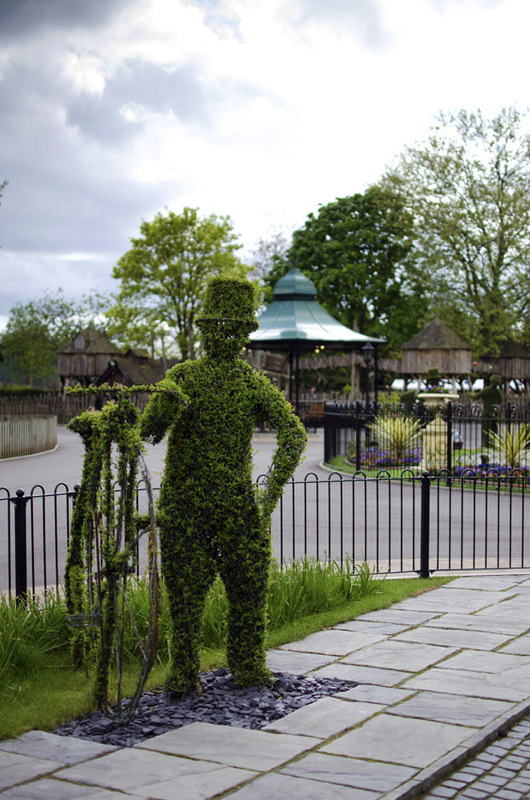 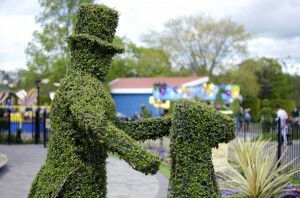 Here at Agrumi we specialise in Bespoke Topiary, however, we also supply many classic architectural topiary shapes. 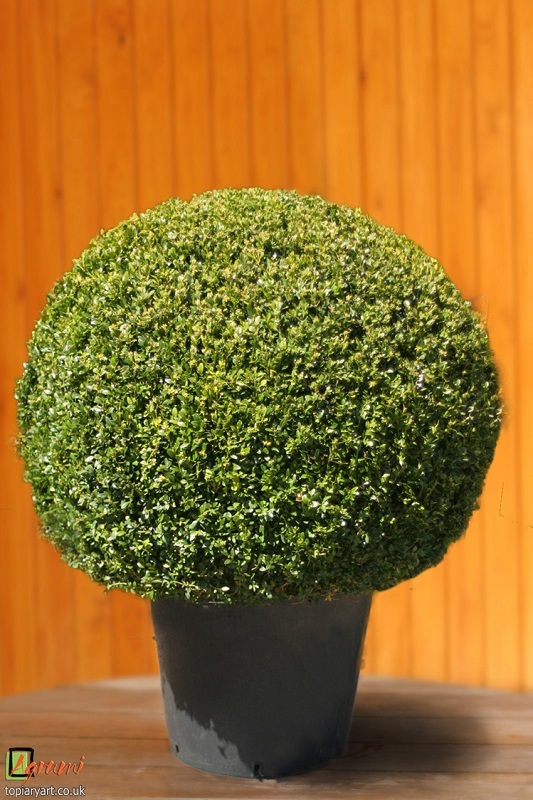 We can offer balls, cones, pyramids, spirals and standards, all at very competitive prices in a wide variety of plant species. 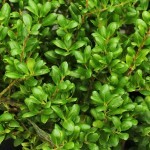 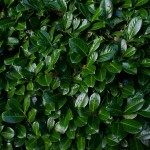 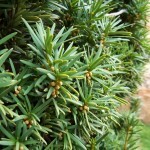 This erect, evergreen shrub has aromatic ovate leathery leaves useful in cooking. 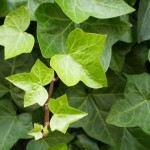 Its small, greenish-yellow leaves grow in dense clusters making it perfect for growing as a standard tree. 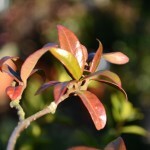 Its oval, glossy fruits become black when ripe. 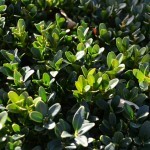 Is a slow-growing evergreen shrub, compact in habit with small, glossy oval or oblong leaves and small yellowish flowers. 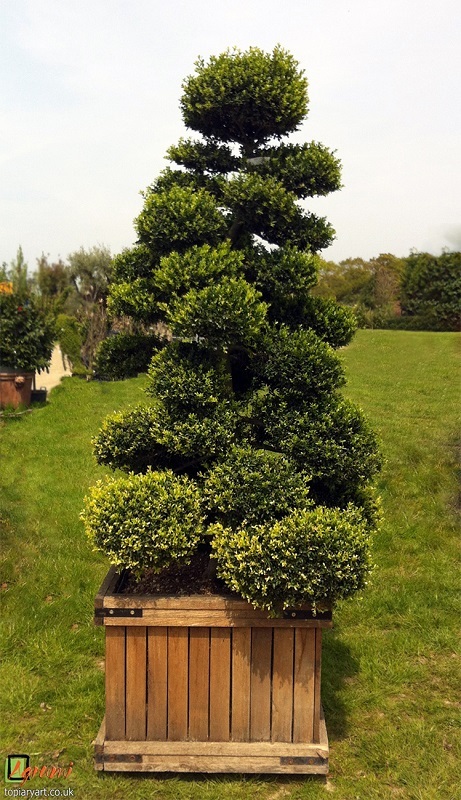 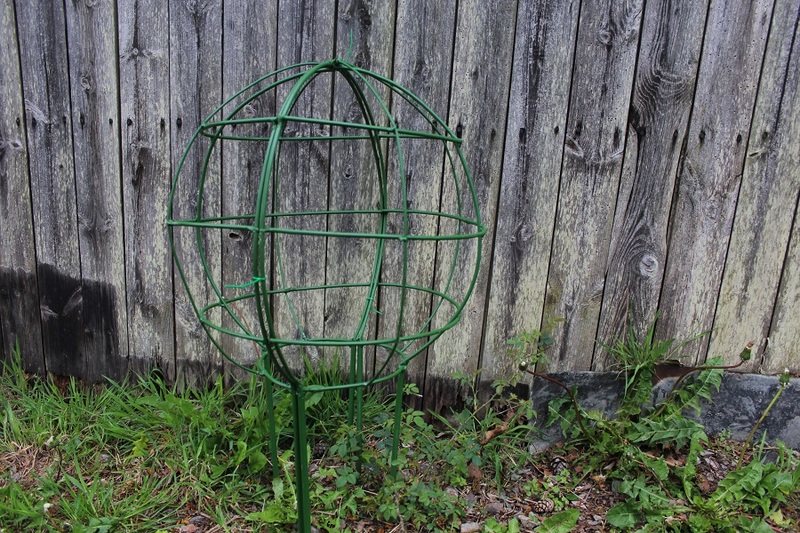 It is not suitable for bespoke topiary, but perfect for classic topiary shapes like balls and spirals. 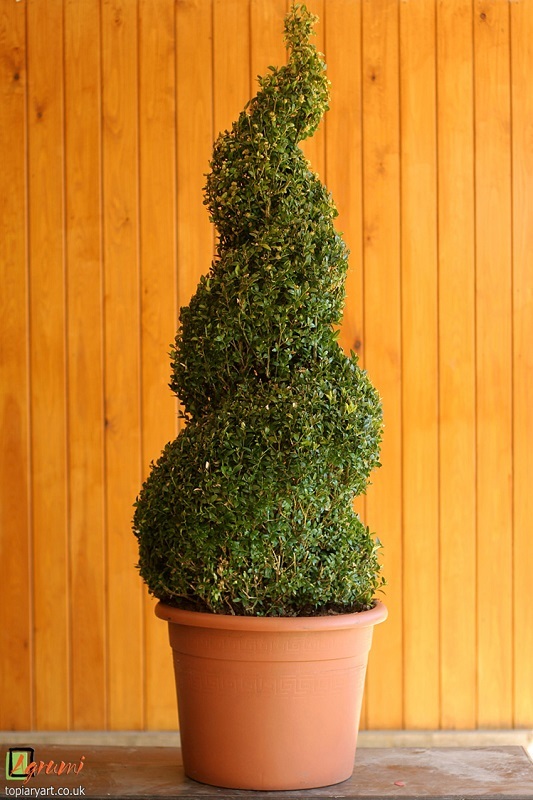 The prolific growing properties of the evergreen Leyland cypress can make it a source of irritation when used a hedge or screen, but it also makes for beautiful classic standard topiary when kept under control. 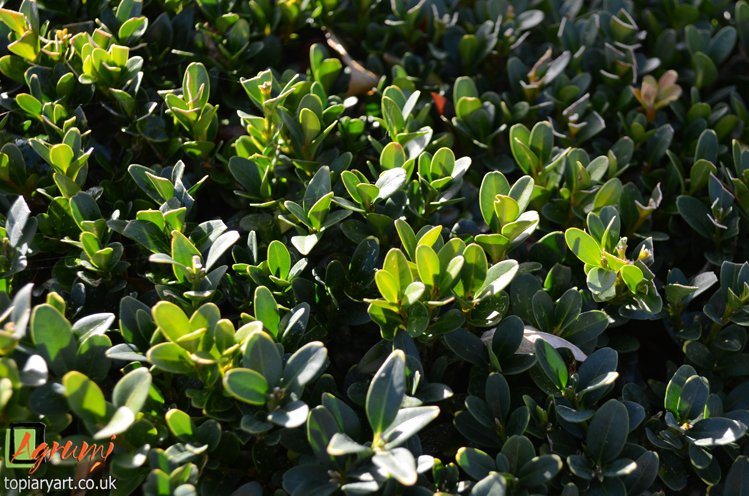 The genus provides species in a palette from dark green to pale yellow. 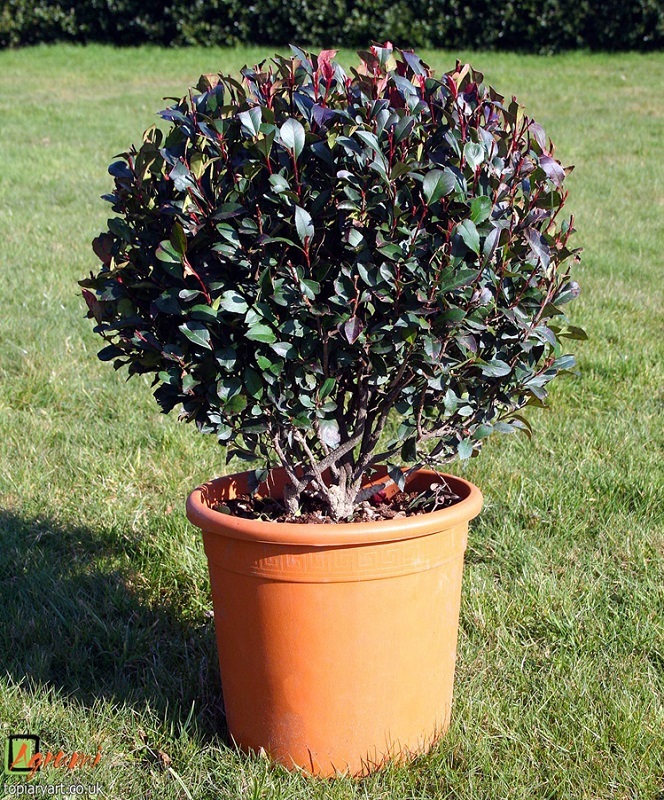 Holly is a tough plant, happy in free-draining soil in most positions in tubs or in open ground. 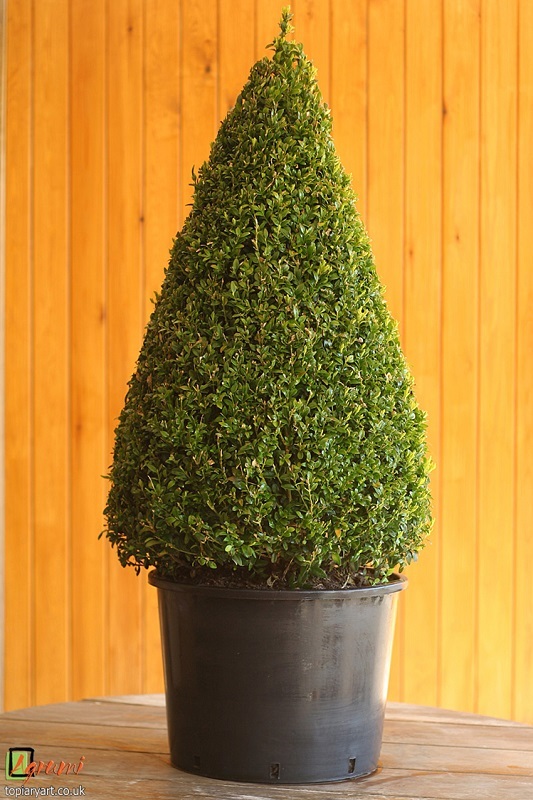 With a range of dark green or variegated species and the promise of beautiful red berries, it makes another perfect choice for standard topiary designs. 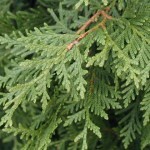 These coniferous evergreens have a stringy texture and reddish-brown bark. 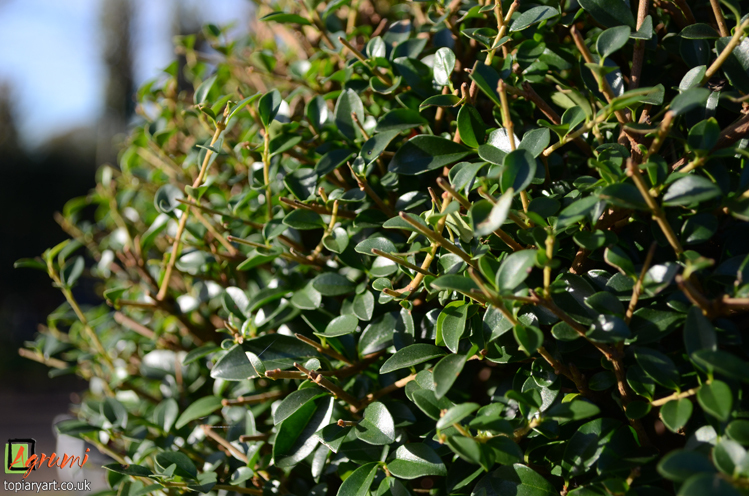 They are widely grown as ornamentals and hedges, but also make good standard trees. 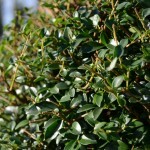 This bushy, medium-sized shrub has small aromatic, ovate leaves and profuse star-like white flowers, 2cm in width followed by purplish-black berries. 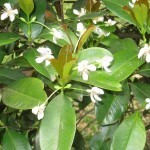 In contemporary plant-lore it symbolises love and is routinely used in Royal wedding bouquets. 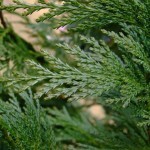 Slow-growing, but long-lived these coniferous trees can grow up to 40 metres high. 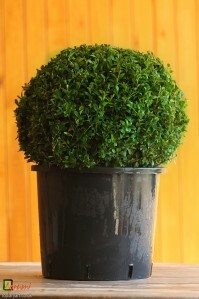 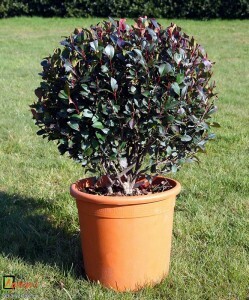 Used in standard topiary however, and kept clipped, they make stunning, dense show plants. 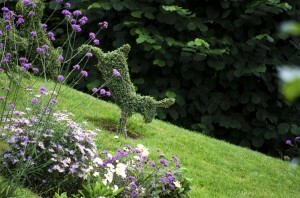 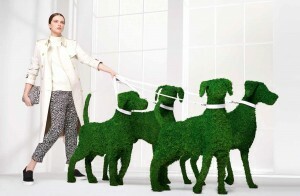 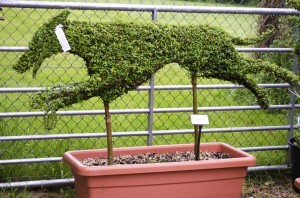 Here at Agrumi, topiary animals are a popular item. 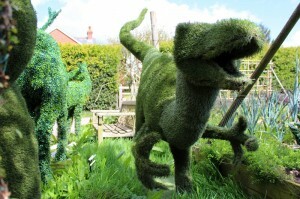 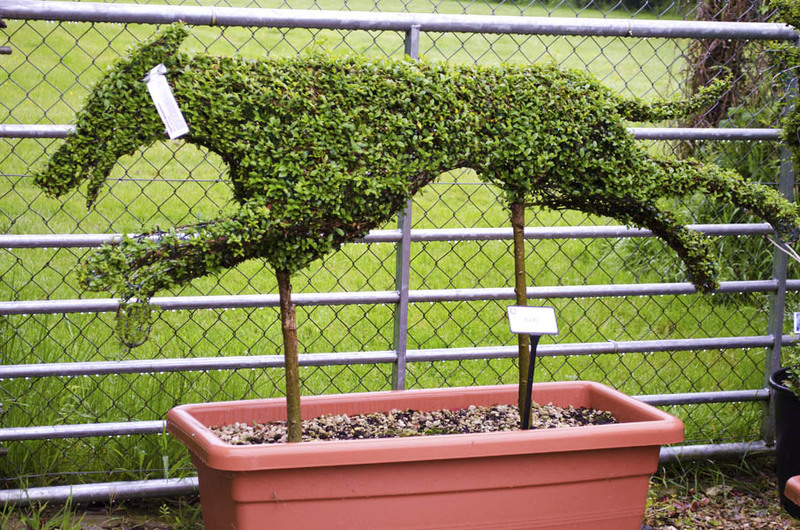 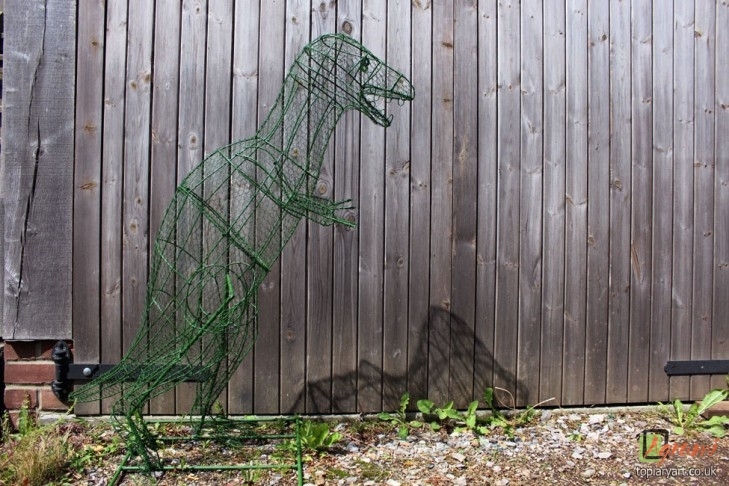 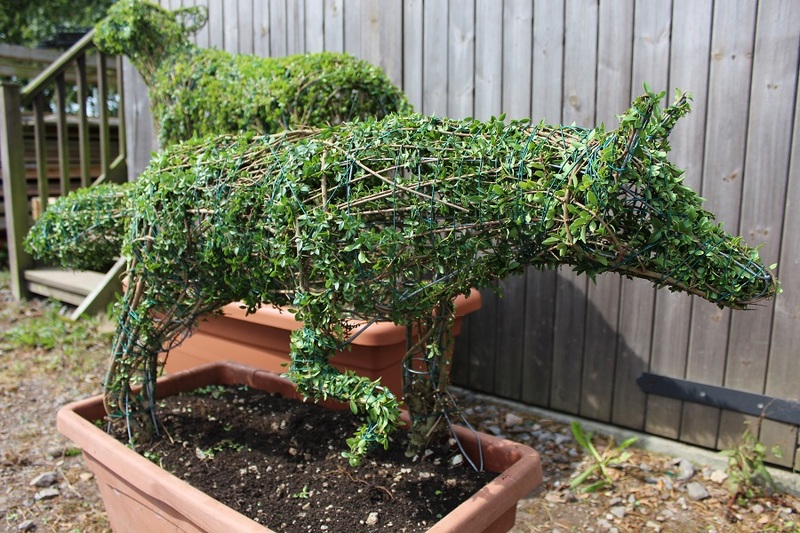 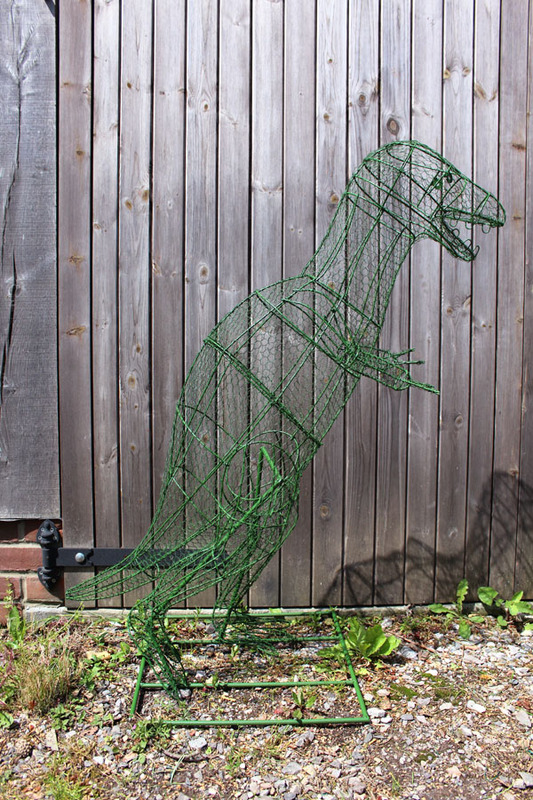 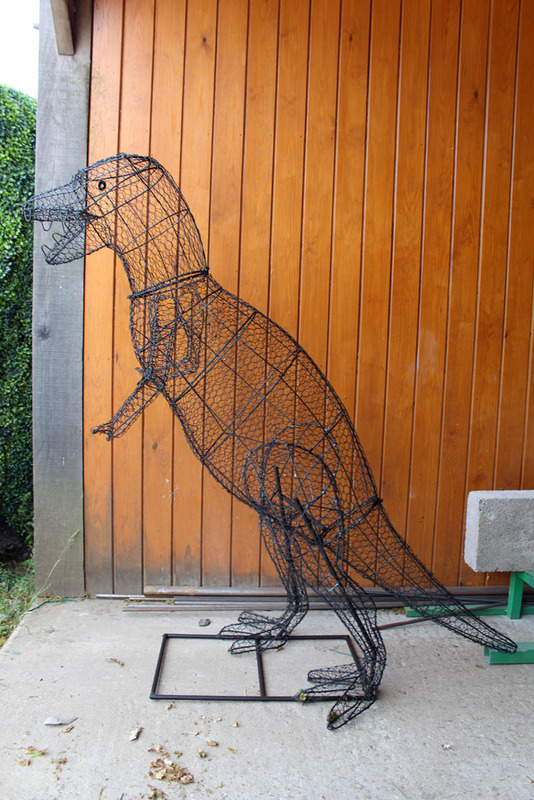 We’ve made a huge range of animal topiary; from dogs to cats, woodland creatures to farm animals, and even Jurassic Dinosaurs! 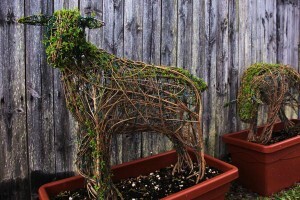 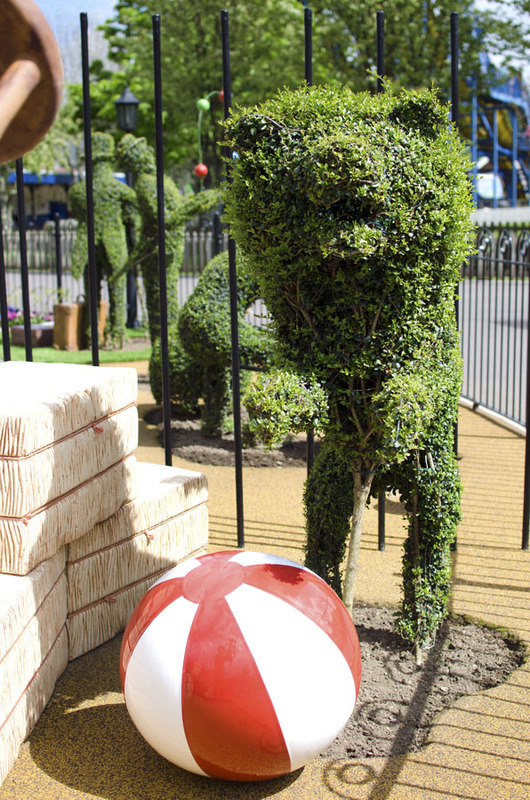 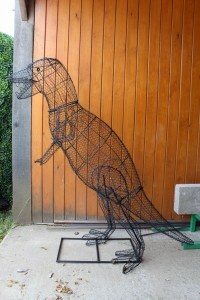 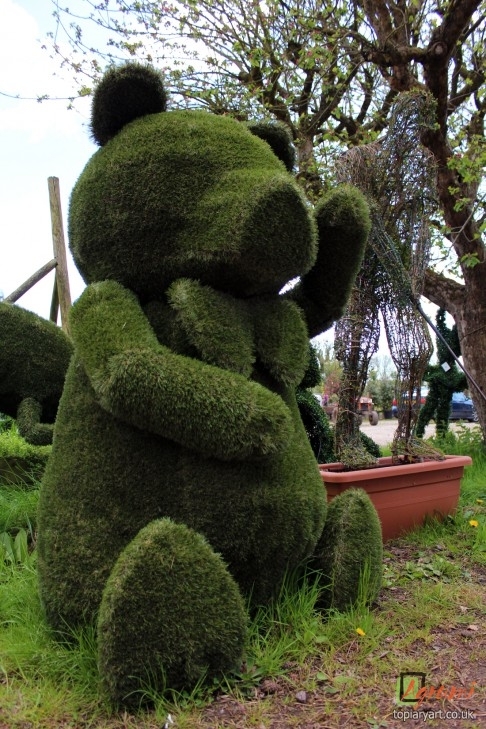 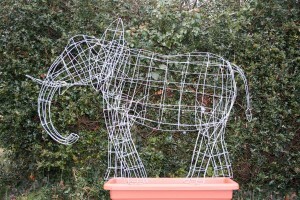 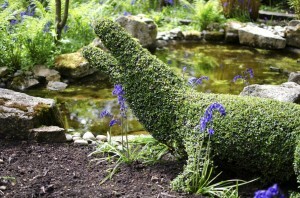 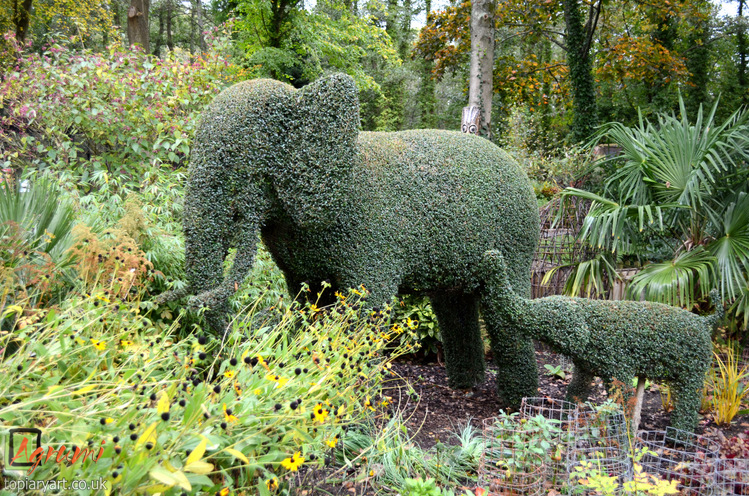 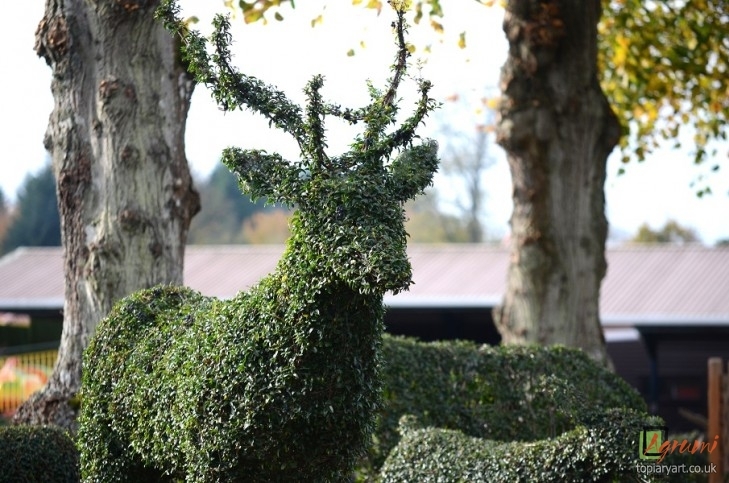 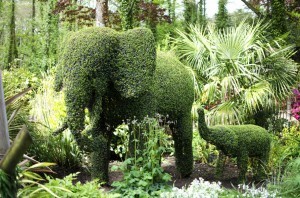 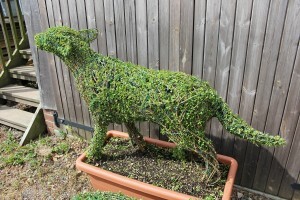 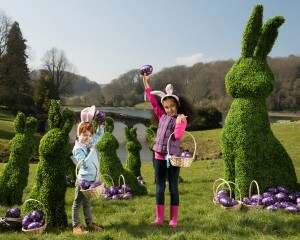 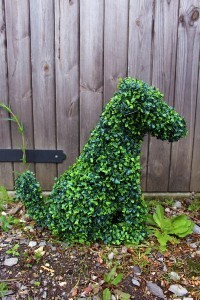 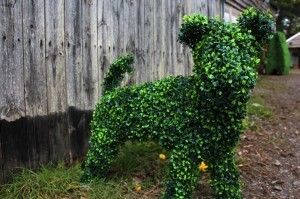 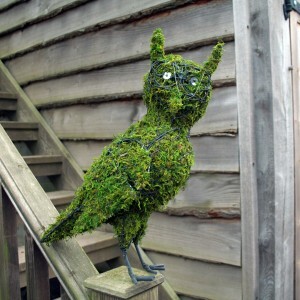 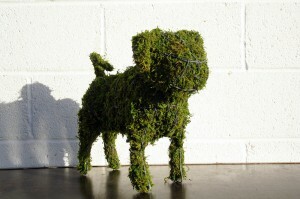 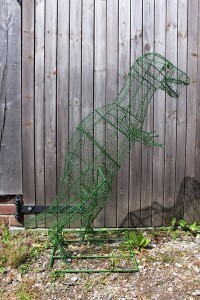 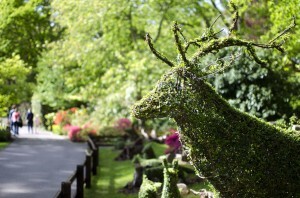 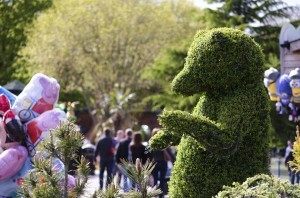 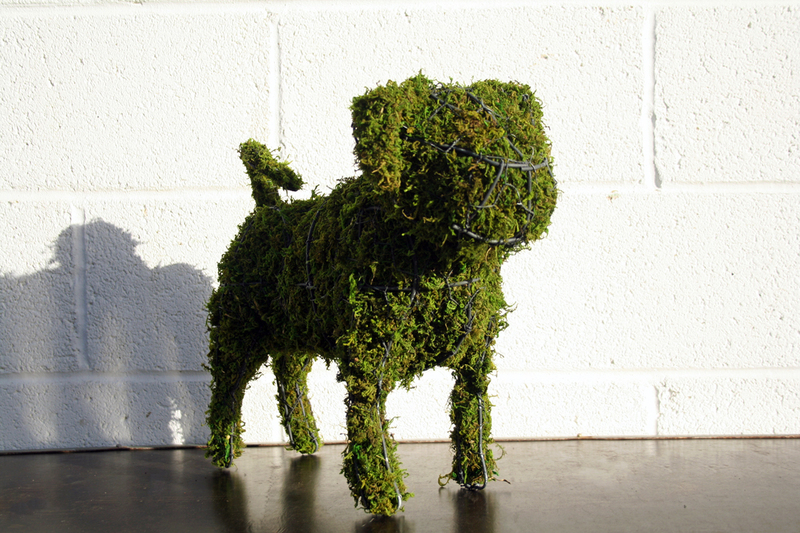 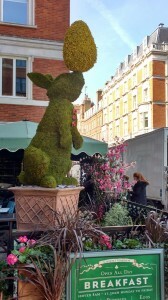 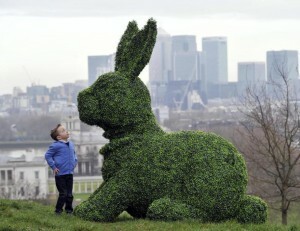 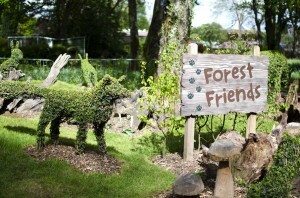 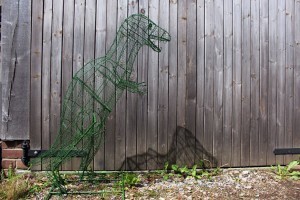 We can make any topiary animal bespoke, life size, miniature or exaggerated. 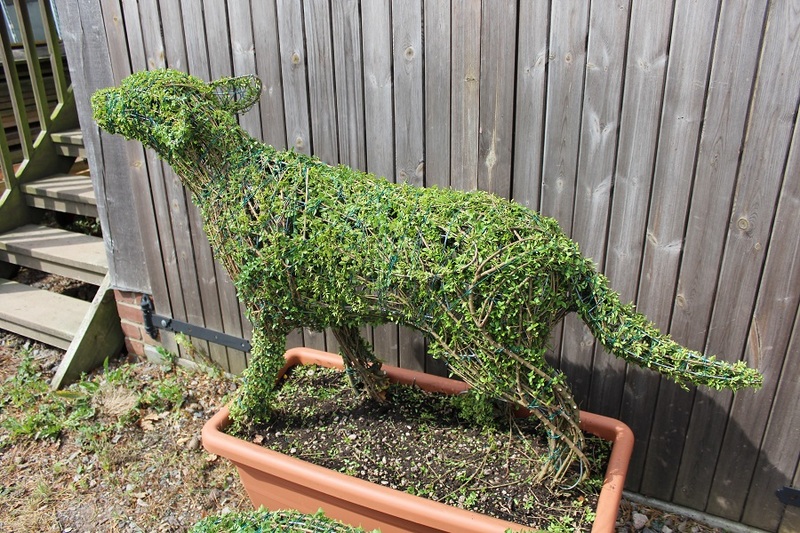 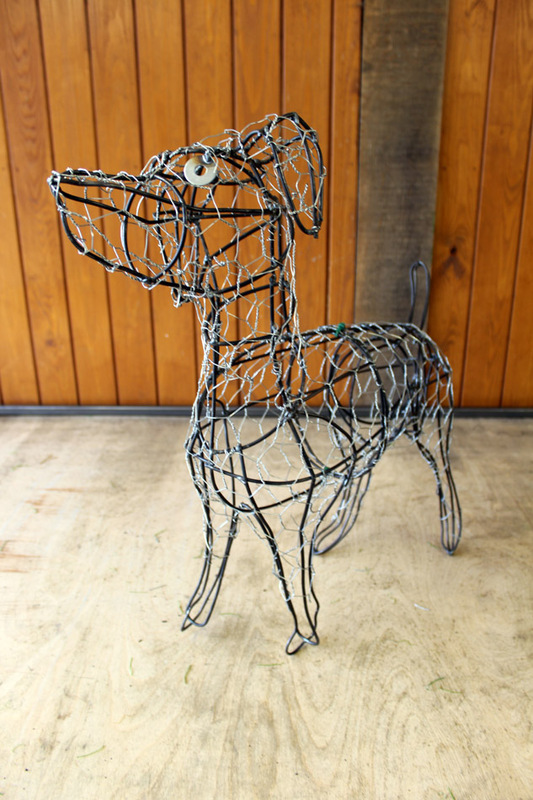 If you have something special in mind we’ll be able to accommodate; after a particular breed, size, set of animals or even mythical creatures, just let us know what you’re after and we’ll bring it to life! 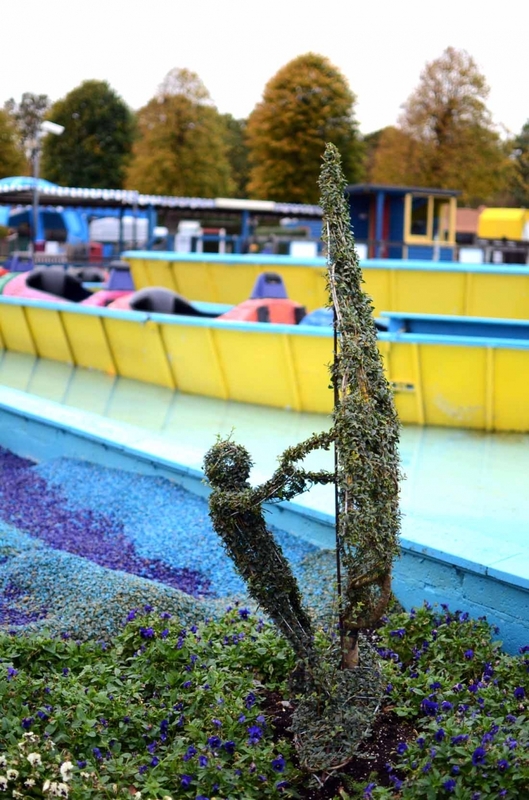 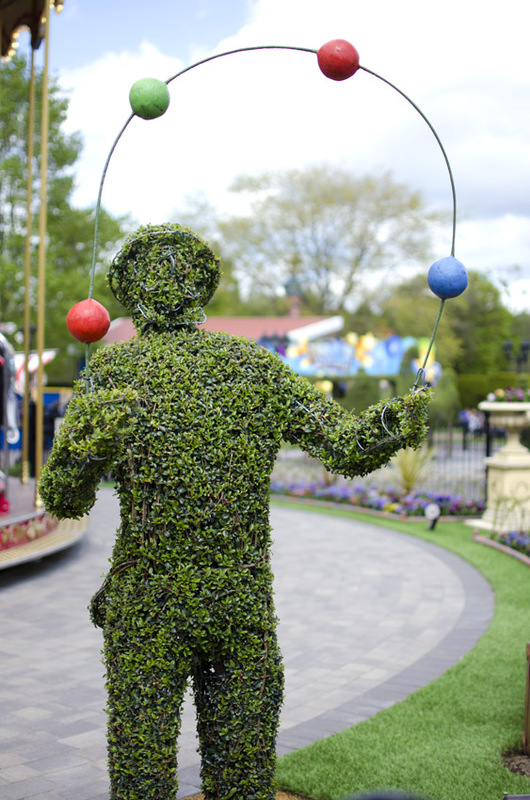 Underneath every one of Agrumi’s beautiful topiary pieces – whether made from living plants, grass, moss or artificial boxwood – lies a sculptural frame fashioned by hand from thin metal rods. 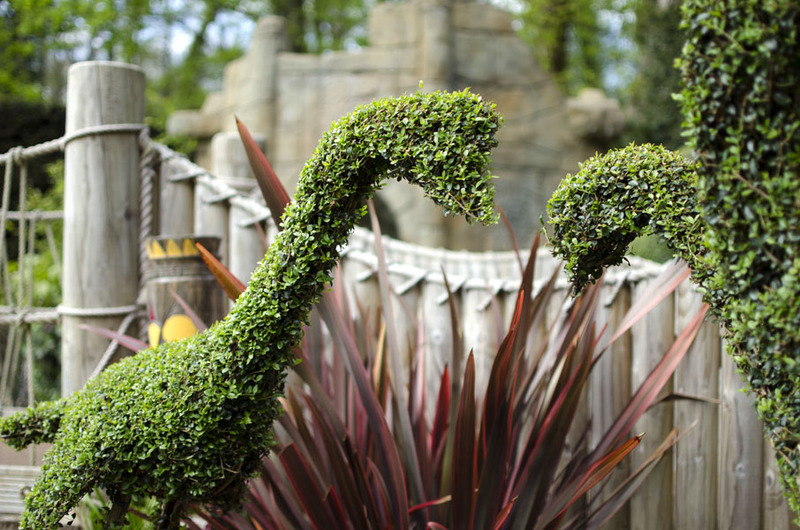 Our gifted and imaginative team use their skills to craft these robust structures so they are capable of withstanding the plant weaving process, yet detailed enough to show the characteristic features of the design below. 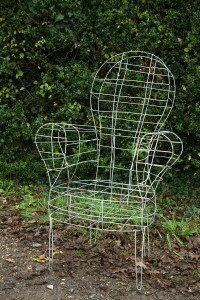 The frames can be bought ‘off the shelf’ from one of our existing designs, or made completely bespoke to your own ideas. 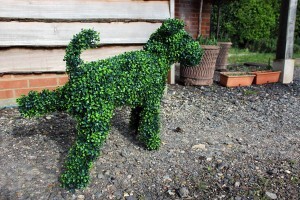 We also make topiary frames, to any size, suitable for the horticultural techniques of training plants into pleached, espalier, arched, or caged designs. 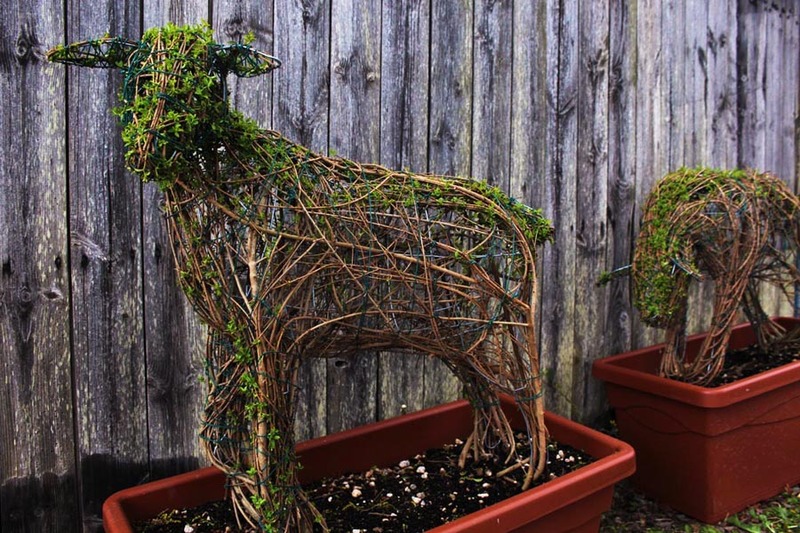 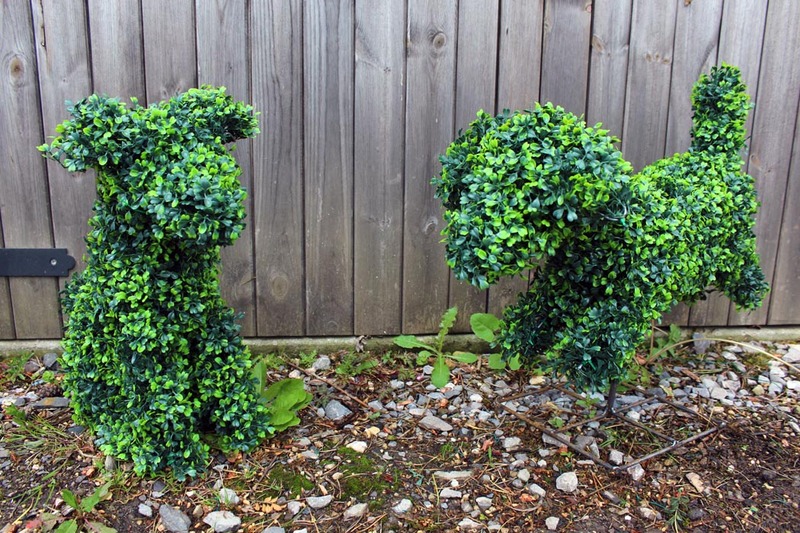 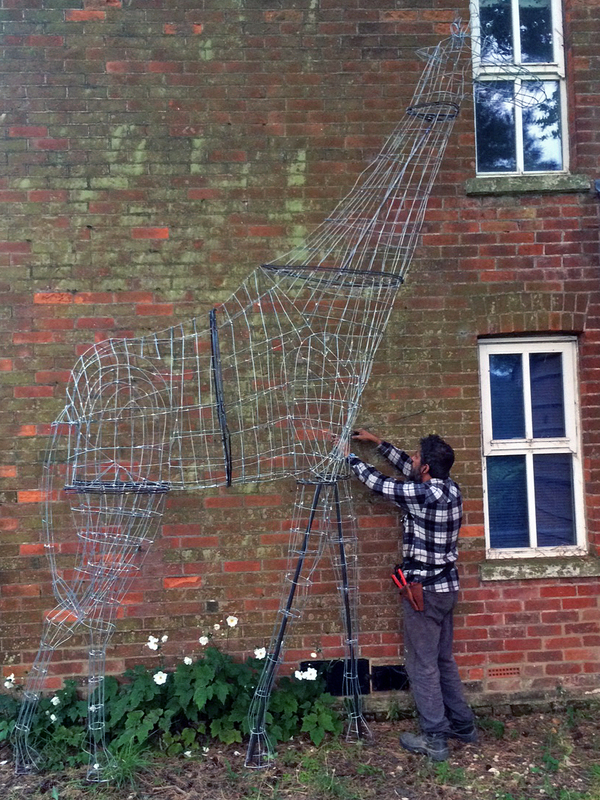 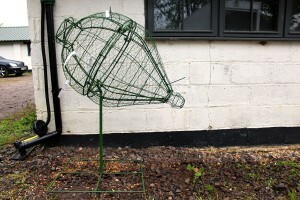 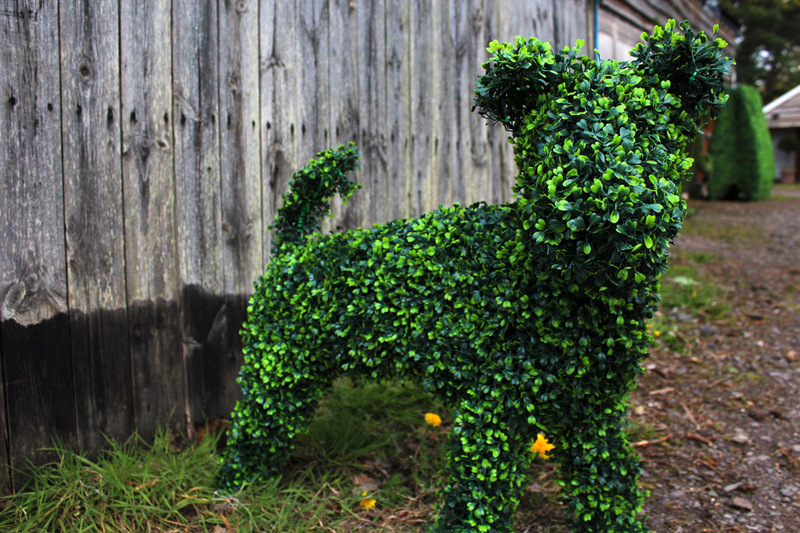 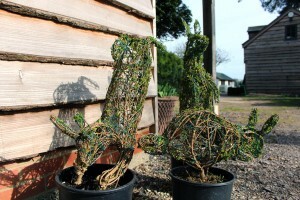 Our topiary frames – works of art? 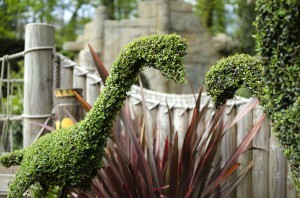 Minus the plants woven around the sculptures, Agrumi’s topiary frames are equivalent to works of art. 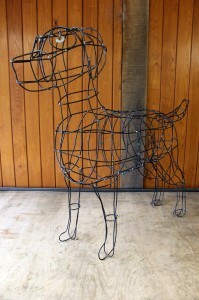 The physical manipulation of material to form sculpture dates back to prehistoric times. 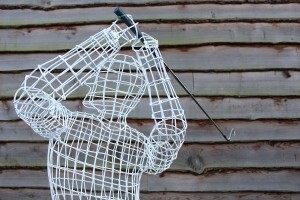 Today the signature of a particular artist on a sculpture can command huge prices. Of course we’re not saying that Agrumi’s topiary frames are in the same league as art by Anish Kapoor, yet in their own way they catch the eye and prompt the viewer into a response – be it admiration for the modeling, appreciation of the skill involved in the fabrication or simply a recognition that it captures something authentic about the character of the figure portrayed. 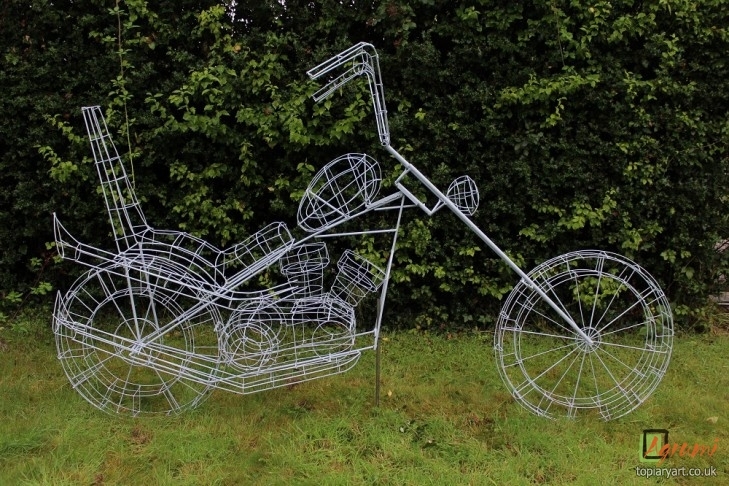 Surely the reason why a piece of art is covetable is that it is distinctive and individual? 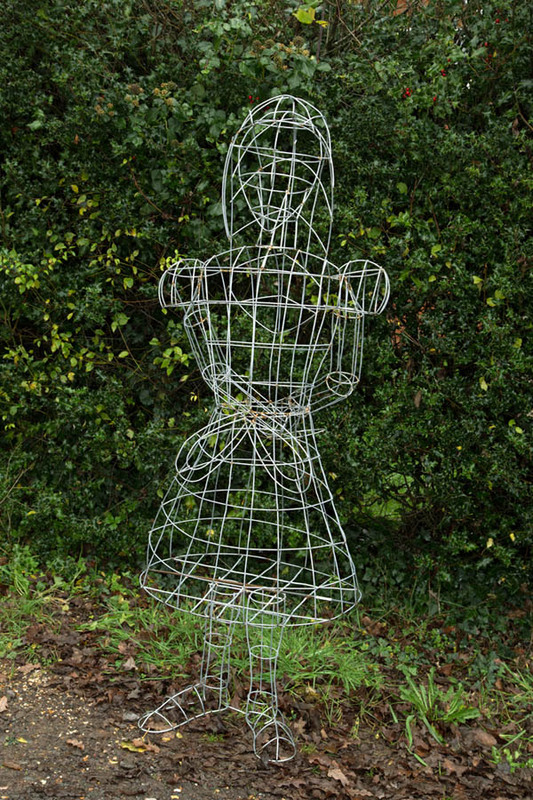 The buyer pays for the time and effort the artist has contributed and in return expects to own something that is an exclusive one-off: an object that no one else has. 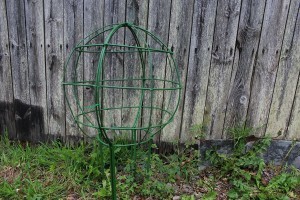 Agrumi’s topiary frames offer a similar experience for comparatively little expense. 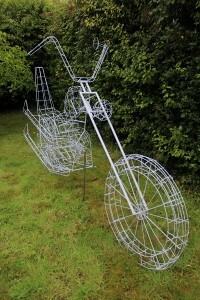 Each frame is not just a commodity manufactured through a soulless production line; our frames are special. Each one is unique precisely because it is handmade. 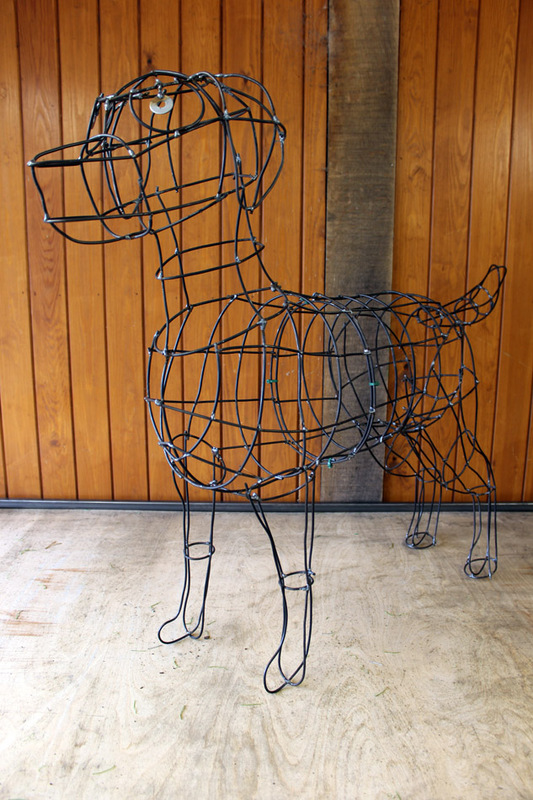 This means that no two frames are identical – even when they are constructed to the same physical dimensions and design. 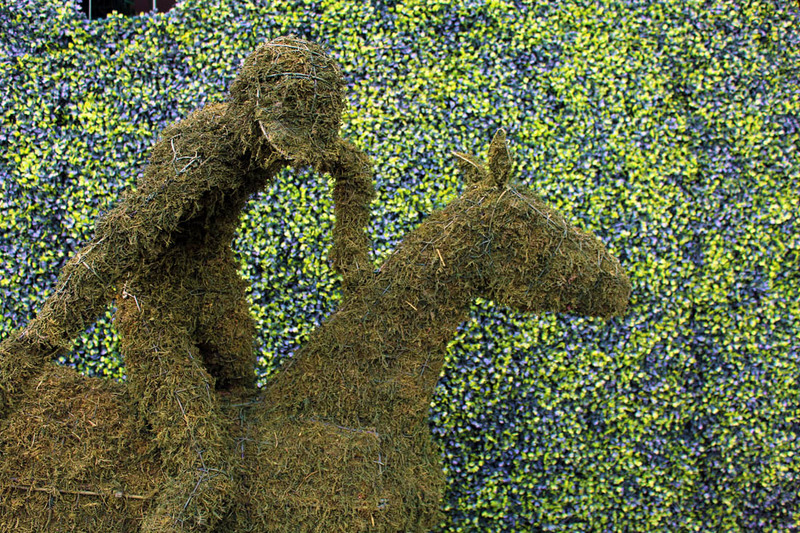 Each frame has quirks and idiosyncrasies that make it stand out from its peers. 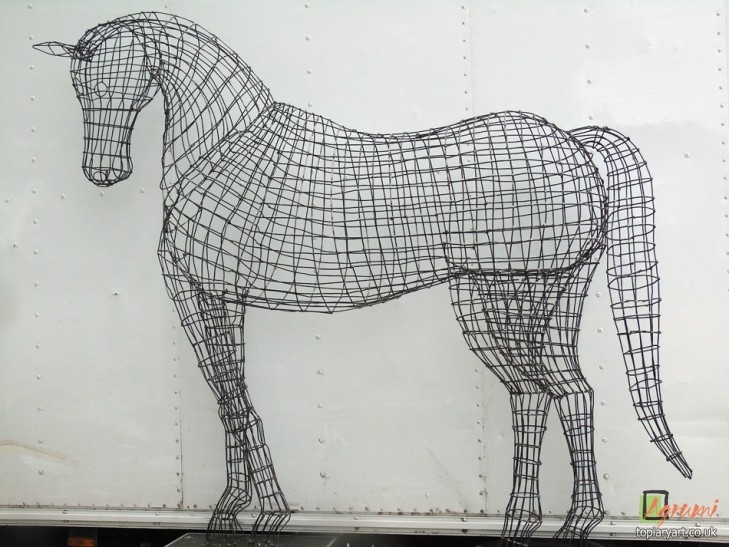 The fabrication process used by our team have been tried and tested over years of experimentation. Our senior topiary artist Luigi was originally from Northern Italy. 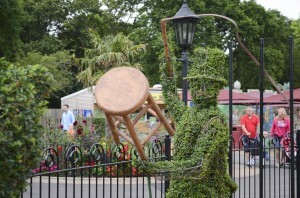 He started work as an apprentice in the furniture-making industry for which his country is rightfully known as a world leader. 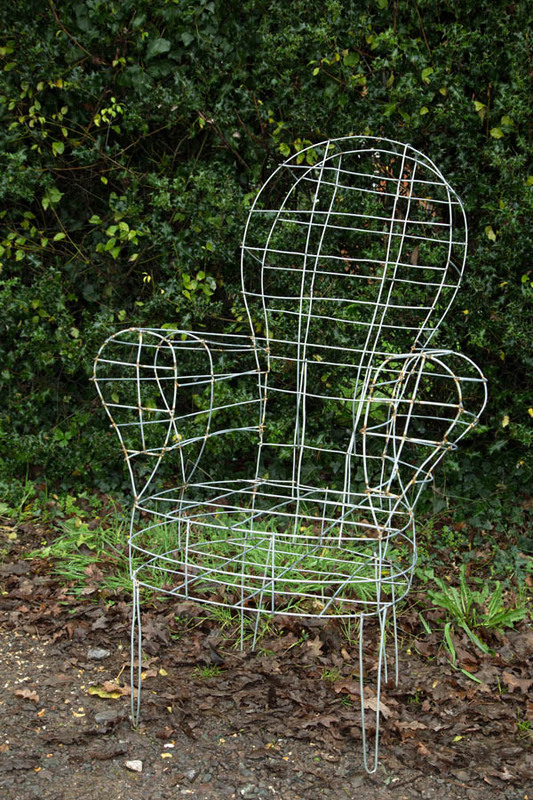 Chairs and sofas need to be constructed from frames that are sturdy and durable, yet exhibit appealing aesthetic qualities when they are covered in fabric or leather. 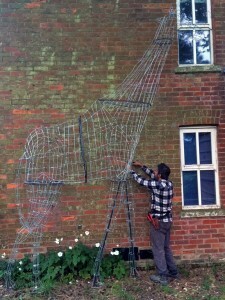 The process of attaching the covering to the frame beneath is also a skilled job where a true artisan can excel if they have an eye for detail, patience and dexterity of hand. 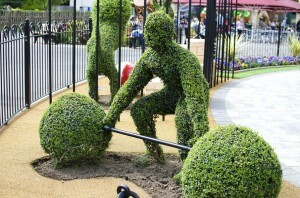 These accomplishments are not so very different from the techniques needed for topiary making. 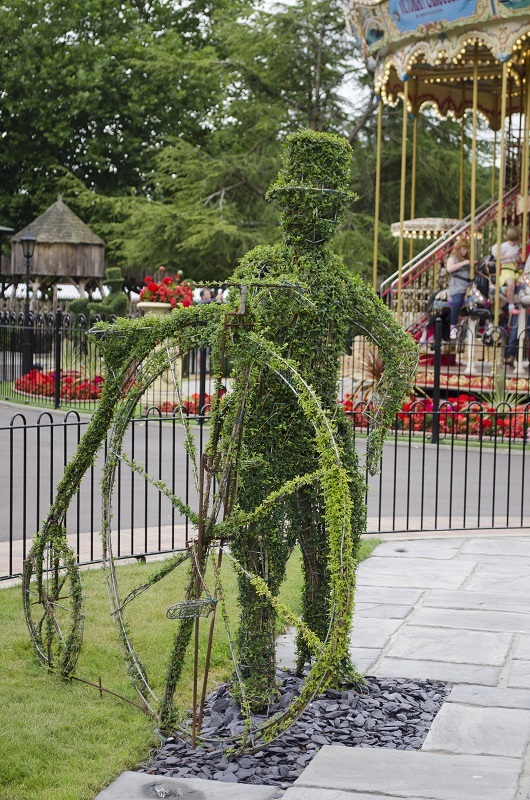 Recognising this, Luigi saw an opportunity to offer his natural aptitude and acquired skills to some of the many agricultural nurseries that abound in Northern Italy where topiary is an important part of the stock ranges. He also welcomed the chance to give his creative flair free reign outside the factory environment where he was previously employed. 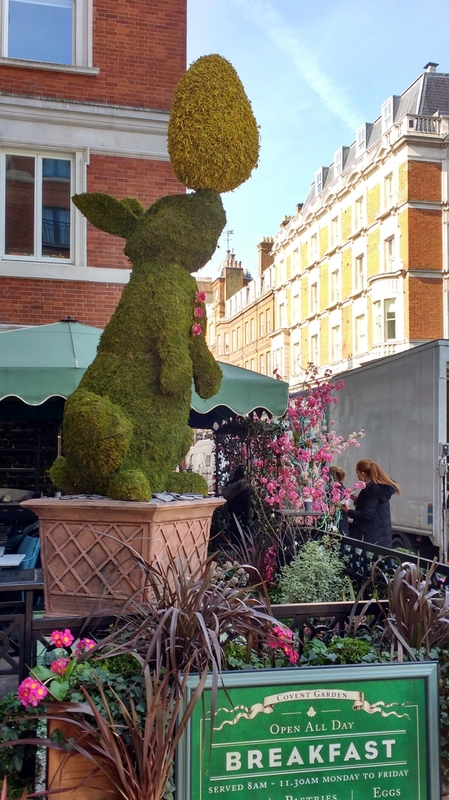 Ever on the look out for new and interesting product lines to offer Agrumi’s customers, our Director Stanley Jackson routinely sources some stock from the Northern Italian specialists. Having lived in the area for years and speaking fluent Italian, he views it as a second home where he can obtain high quality plants at wholesale prices to pass on as savings to his customers. 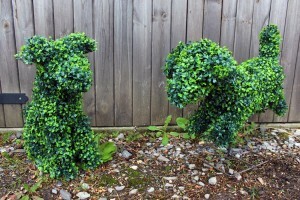 While there, Stanley came into contact with Luigi, a friendship was formed and, seeing a new opportunity for his unique skills, Luigi moved to the UK. 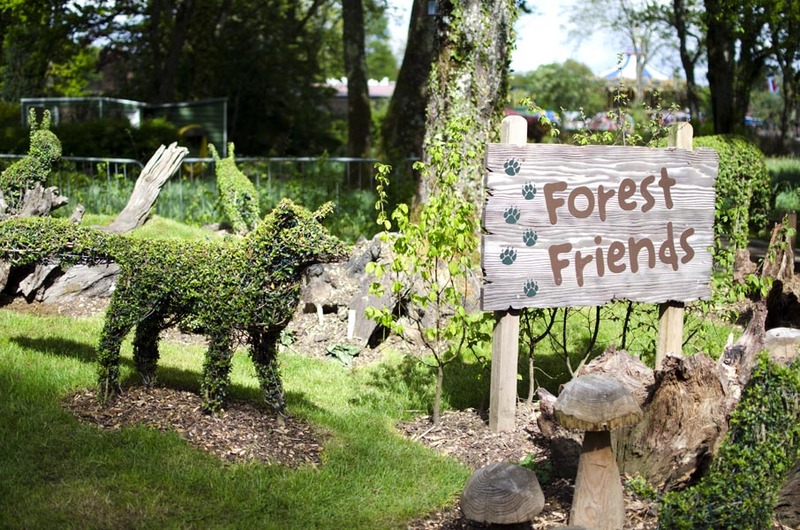 We have been very lucky to benefit from his talent – expertise that he is now passing on to others at our New Forest nursery. 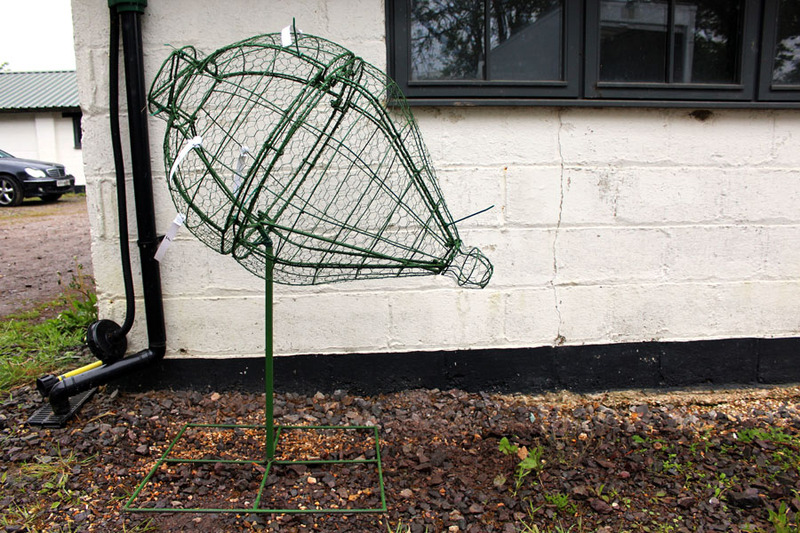 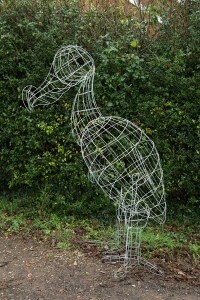 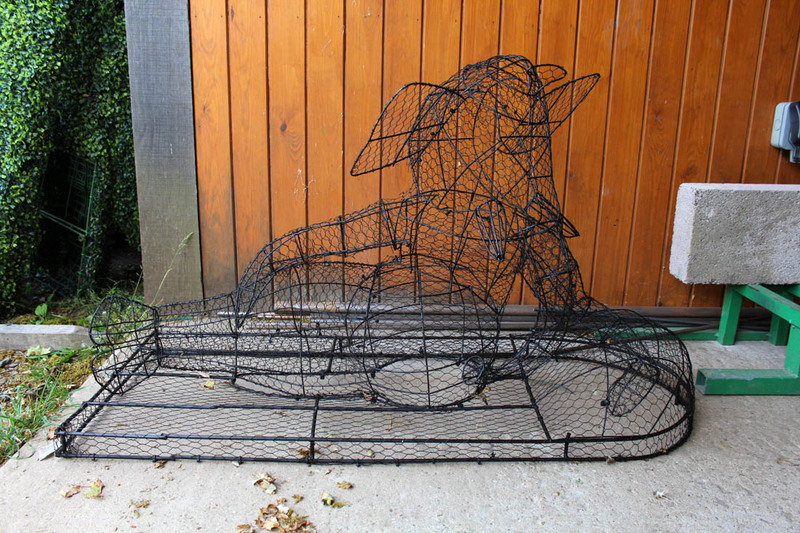 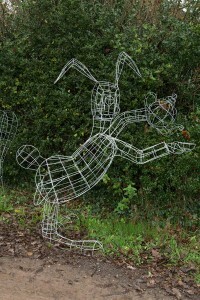 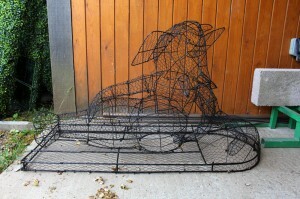 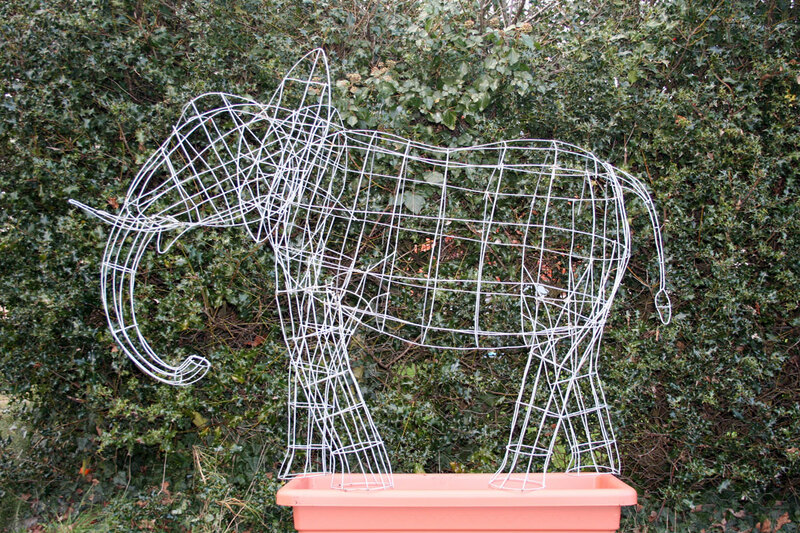 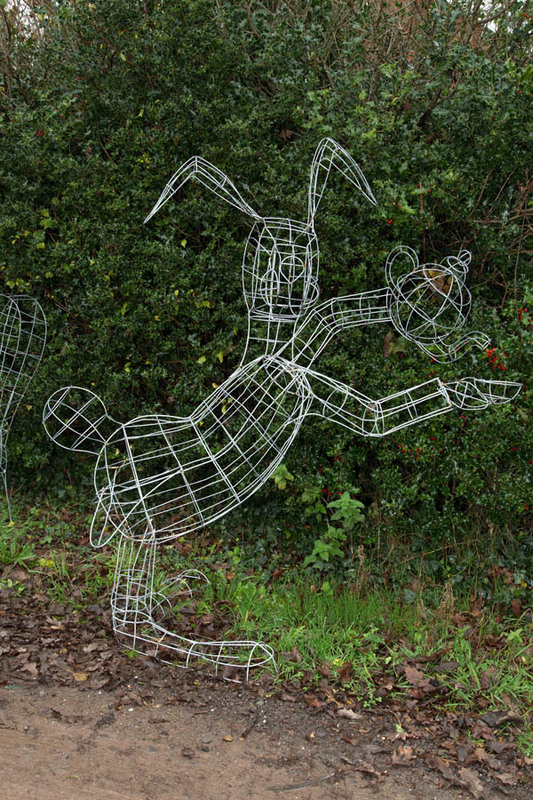 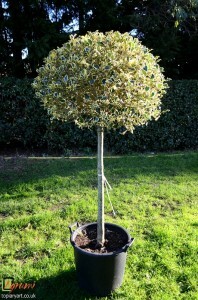 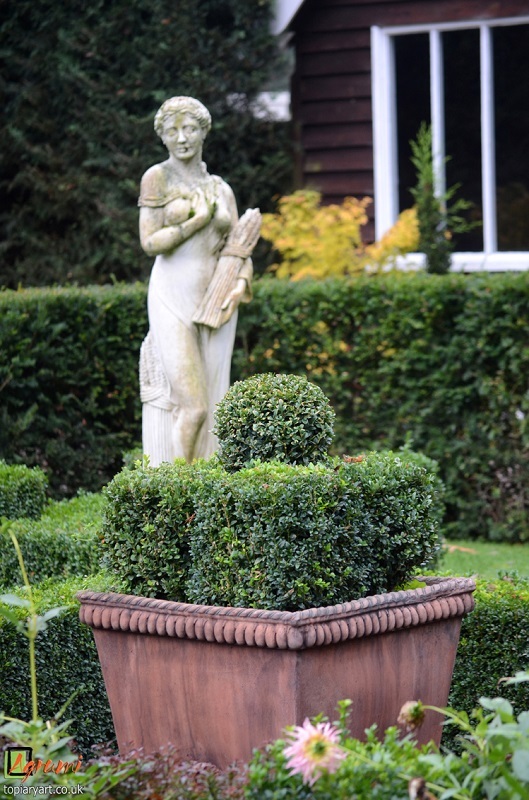 Our topiary frames make wonderful stand-alone sculptures in a garden, landscape or home. 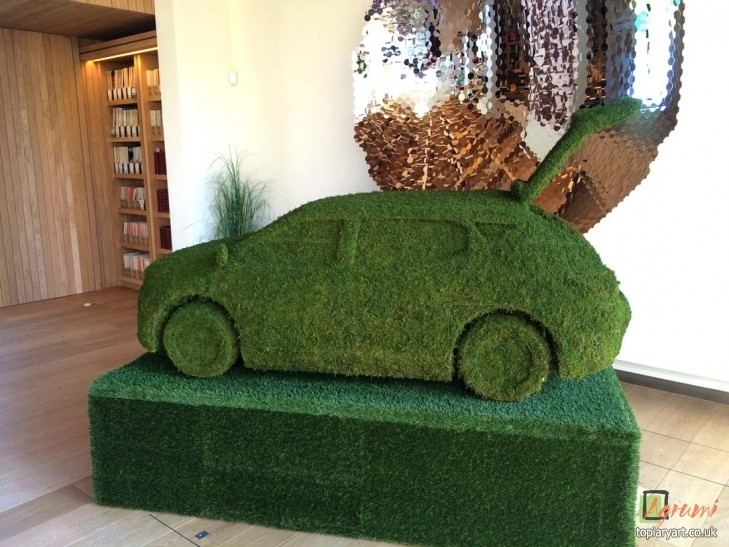 Imagine the impression among family, friends and other visitors when they see one of our designs displayed to optimum effect in your personal space. Picture the delight of children encountering a family of elephants trailing across your lawn or a group of hares racing and boxing. Our topiary frames can also be used to enhance exhibition spaces and communicate business and PR messages in a playful yet sophisticated way. 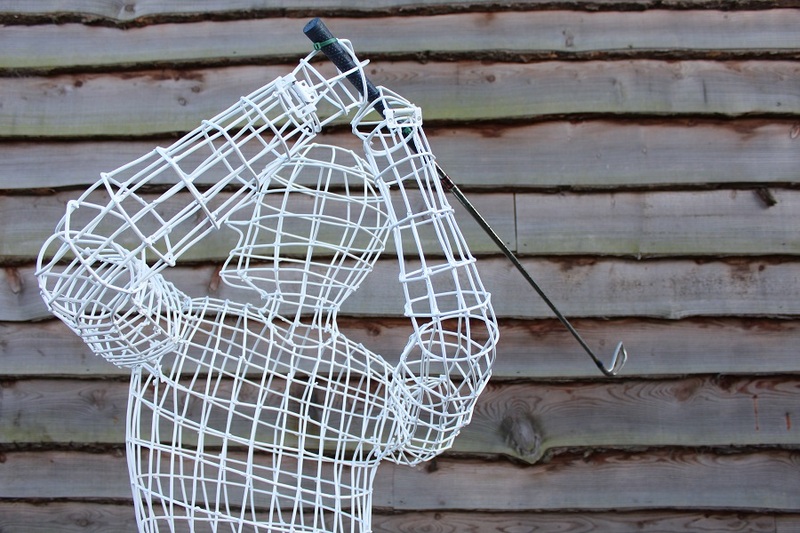 A golfer outside a golf club; a horse outside a stud or stables; a car on a dealer’s forecourt: all these things advertise what your business is about clearly, but the message is upmarket and subtle. 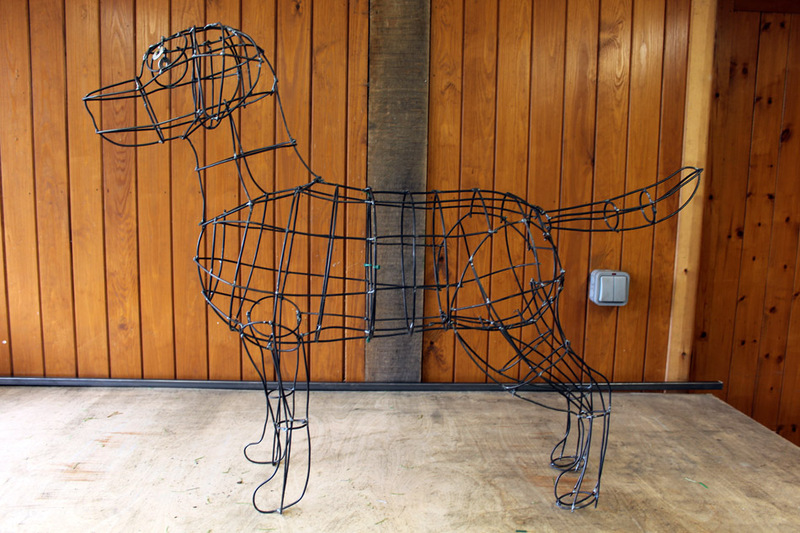 Look at the photographs on this page and you’ll appreciate creativity behind the replication of a life-size racehorse in steel, the capturing of the cheeky personality of a little terrier dog, the elegant sophistication of a stiletto shoe or the latent power of a Harley Davidson. 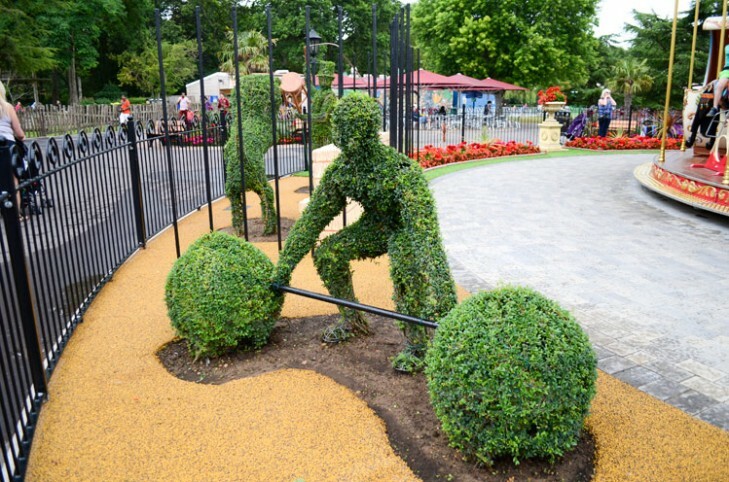 Each of our topiary frames also offers a master class in the application of precision engineering and three-dimensional modelling. 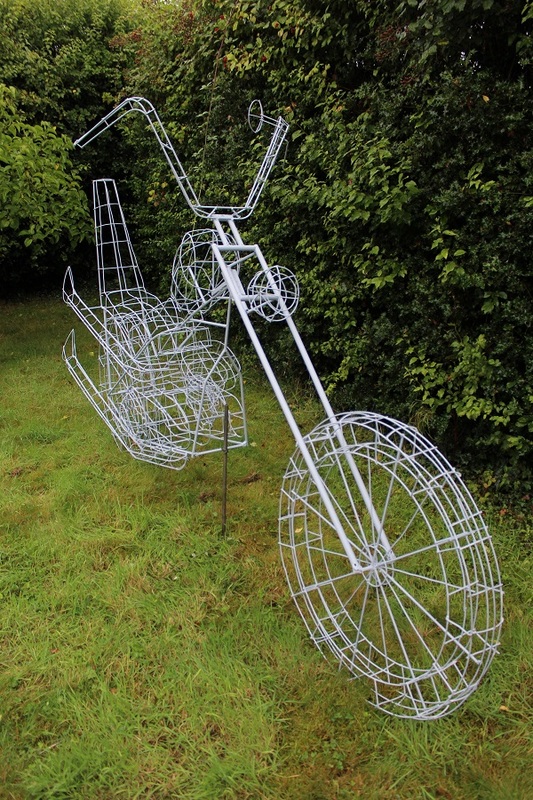 For people purchasing our frames for display purposes we increase the amount of metal detailing to ensure that as much fine detail as possible is achieved. The frames can be purchased galvanized or un-galvanized giving you the option of letting your new sculpture rust gracefully outside as it ages or of resisting corrosion from the elements. 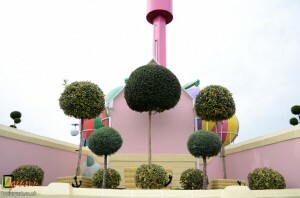 Inside of course, our frames retain their pristine looks. 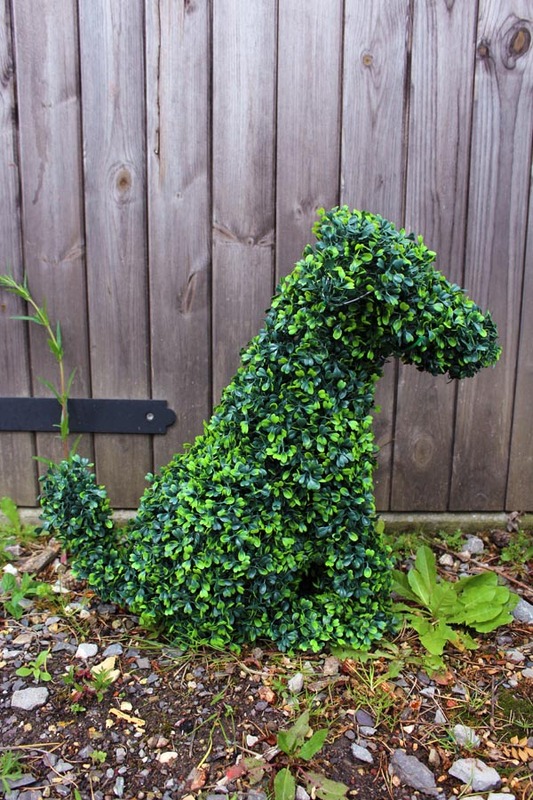 Traditionalists more interested in the artistic attractions of clipped topiary than the substructures beneath, might be intrigued by the creative challenge of fashioning their own topiary sculpture from scratch. 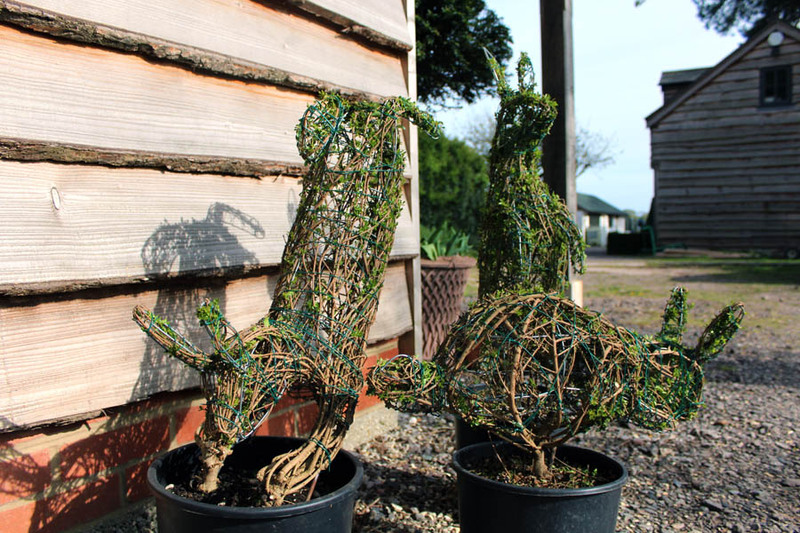 If you buy a frame, pot and plant from us separately, we’ll show you how to put the three together to make a stunning topiary focal point in your own mini Versailles. 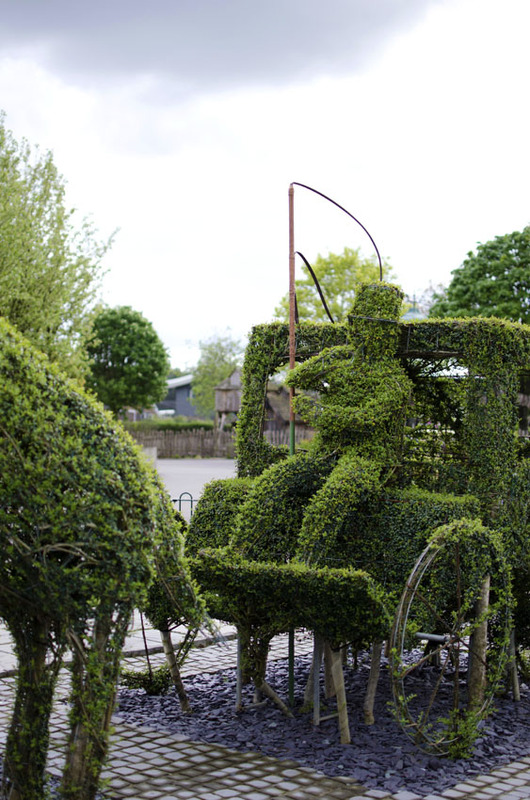 Creating a natural wonder out of steel and plants is skilled work, but with Agrumi’s know-how behind you it won’t be impossible to achieve. 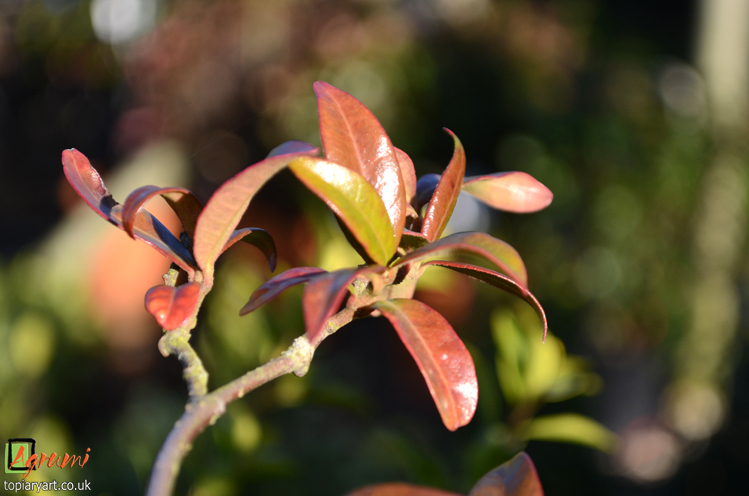 We’ll be there whenever you need help and advice on precision pruning. 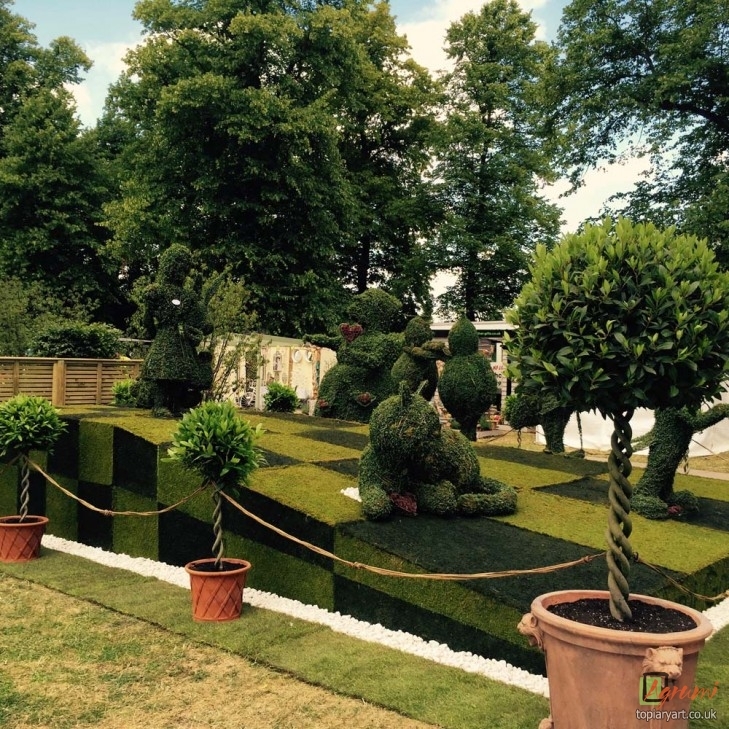 Give our team a call on 01590 683487 to order a topiary frame today. 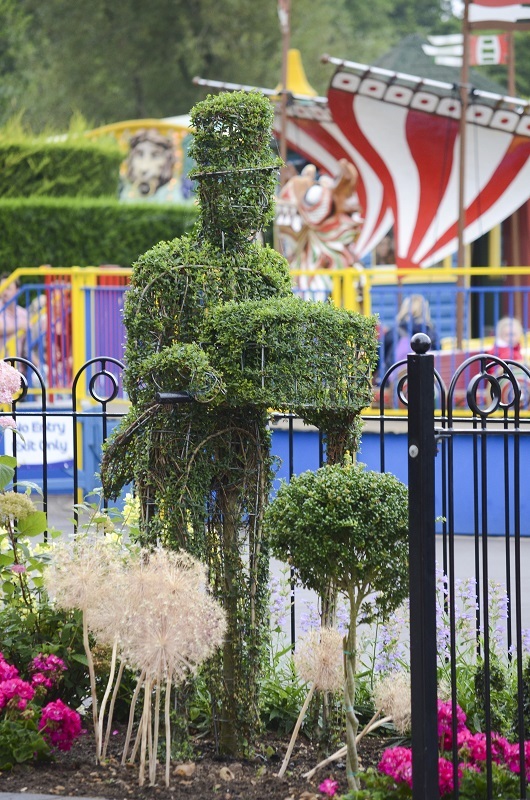 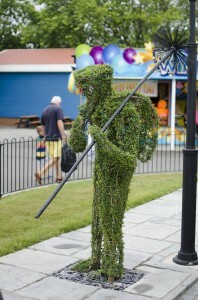 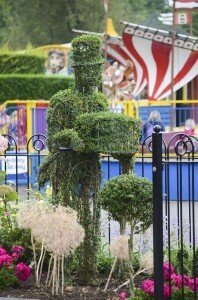 People and fantasy characters make for fantastic topiary sculptures; have a set made to a particular theme for display, include props to enhance them, and they will surely turn heads. The range of people and fantasy characters we can make is limited only by imagination; we make to fit whatever your specifications! 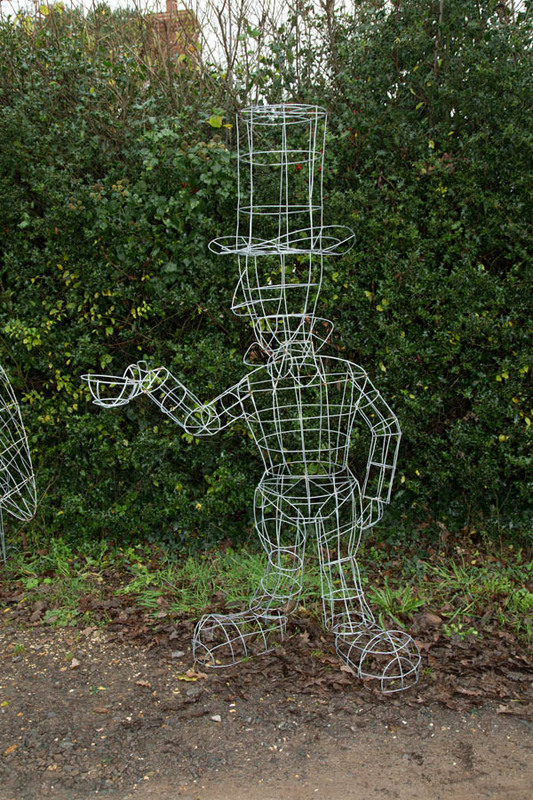 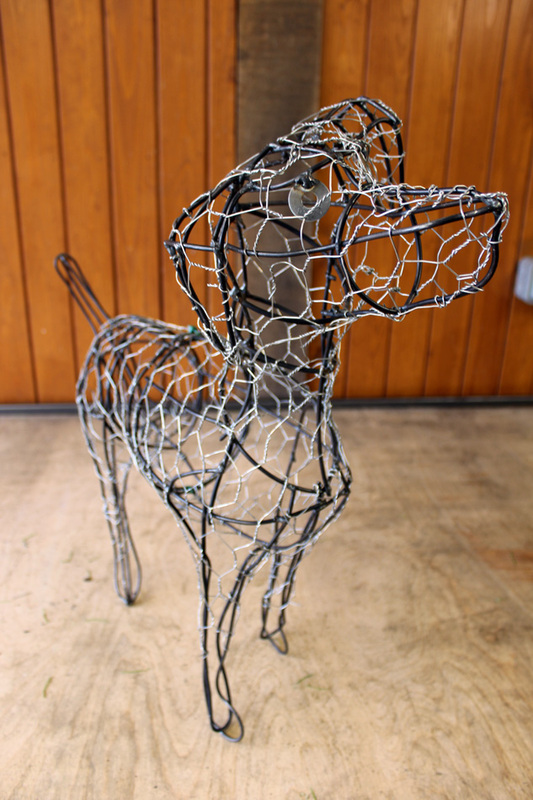 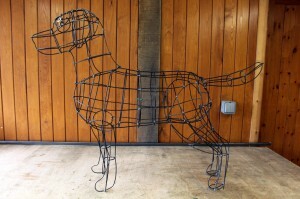 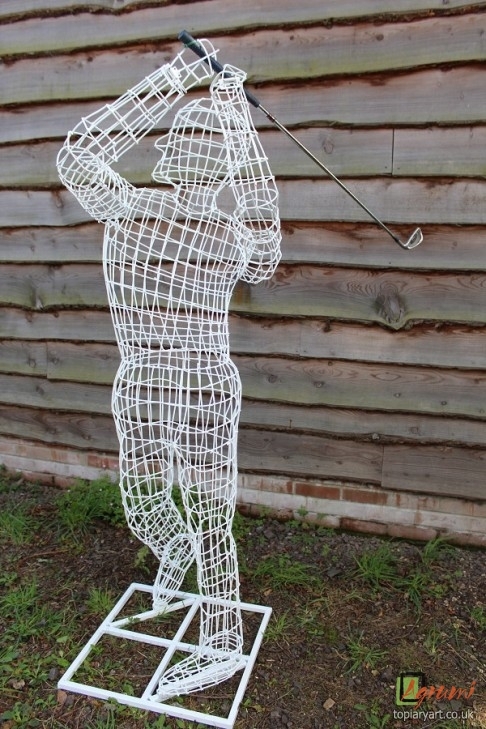 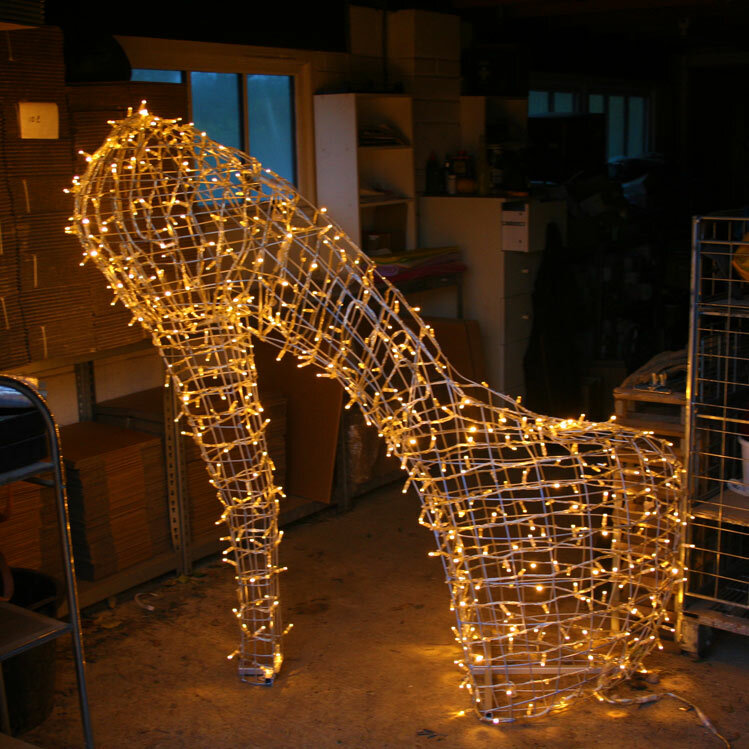 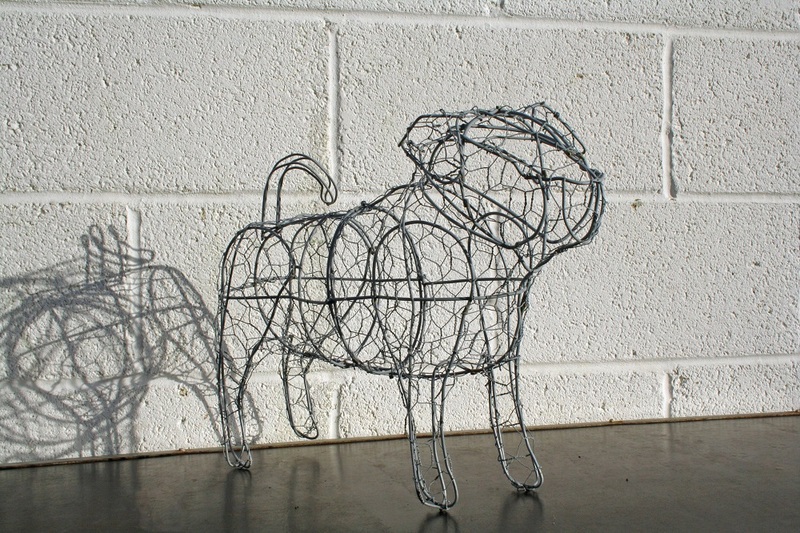 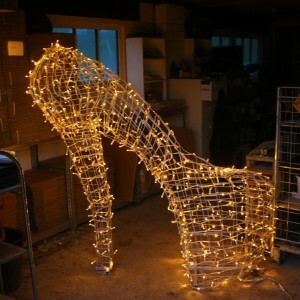 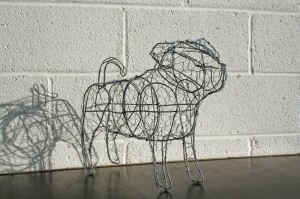 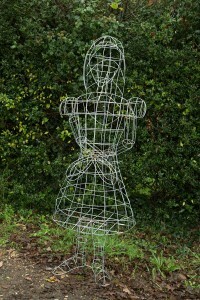 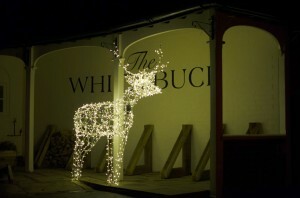 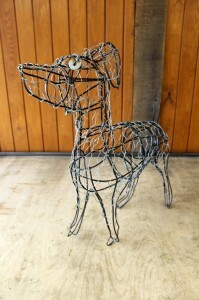 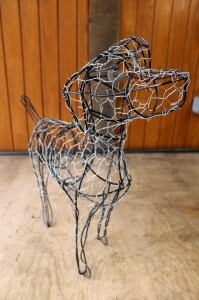 We have been commissioned to make figures for parties, shows, exhibitions and as permanent fixtures in private spaces. For instance, we made a giant chess set for a famous authors garden, people and dogs to add to the audience at a public event, and many many more. We are currently working on a full set of Alice in Wonderland figures based on the 19th century drawings by John Tenniel, to be displayed at the RHS Hampton Court Garden Show. 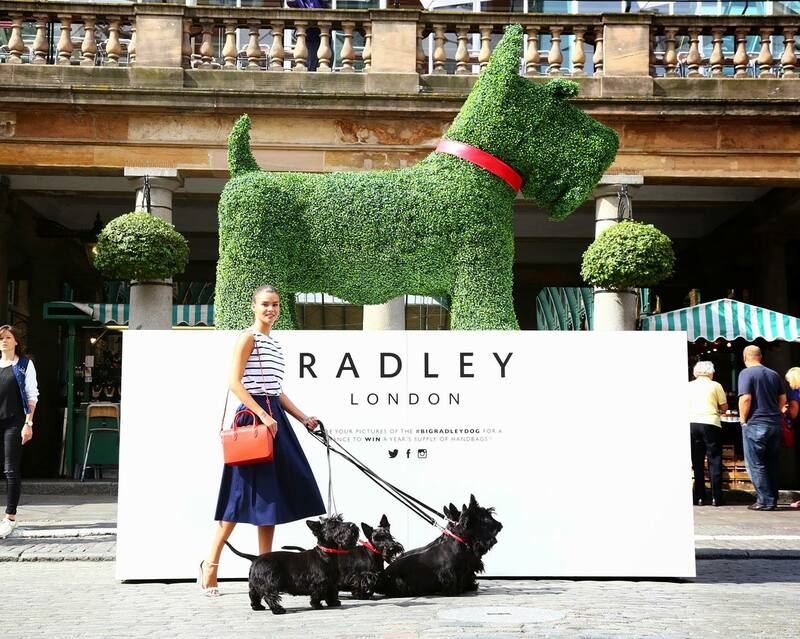 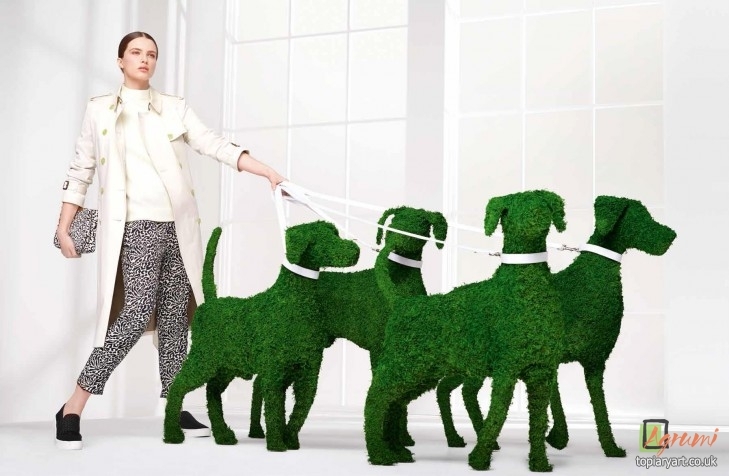 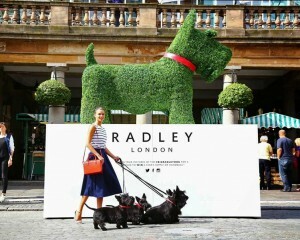 Conde Nast, publisher of Tatler magazine, asked us to create a life-size horse and hounds for their ‘Best of British’ edition and clients Jaeger. The animals were created in natural moss that was dried and coloured a vibrant green. 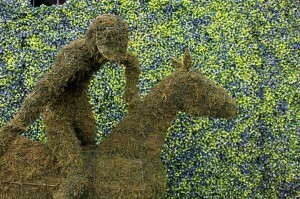 After the shoot, we modified the horse to fit a window display at Jaeger’s flagship store on London’s Regent Street. The display encourages shoppers to take a ‘selfie’ with our horse and share it to Instagram and Twitter to enter a competition.